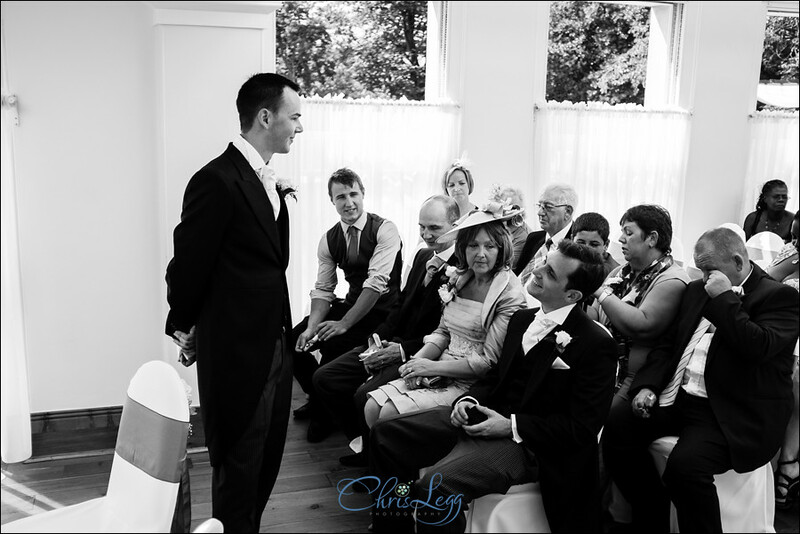 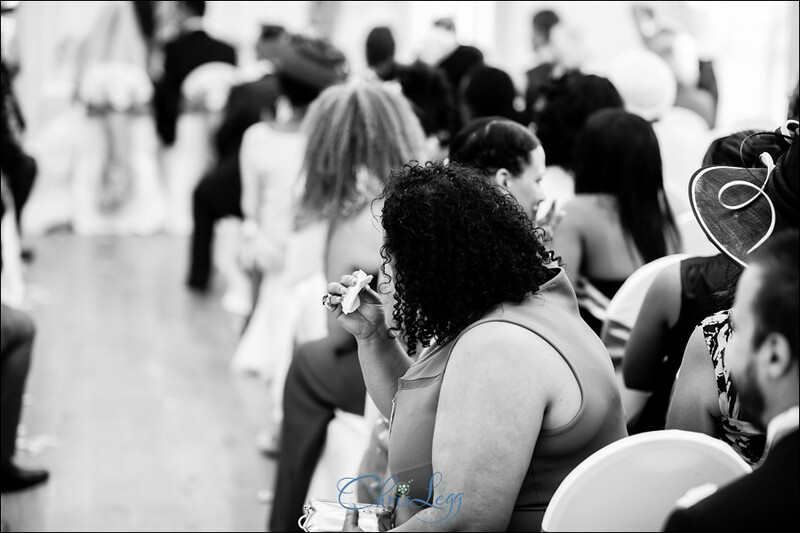 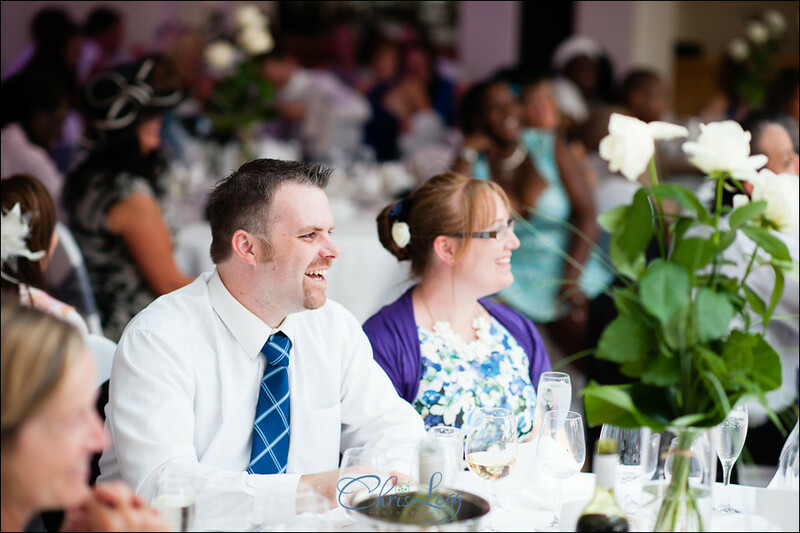 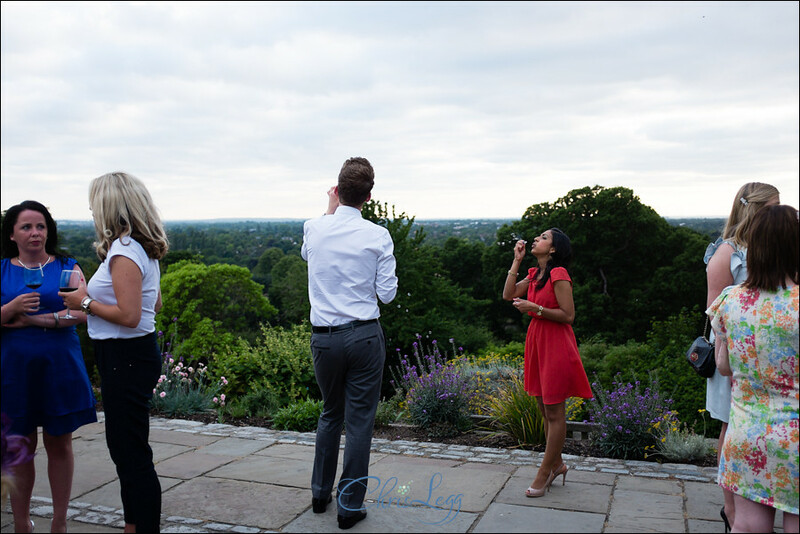 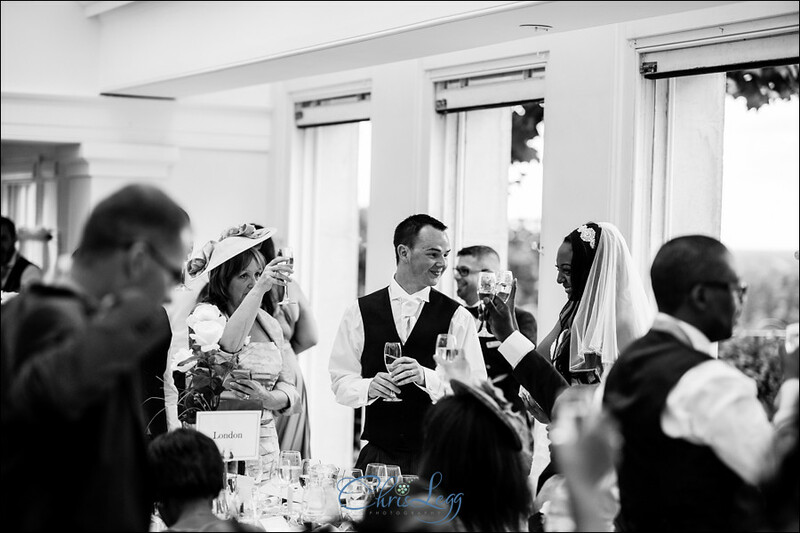 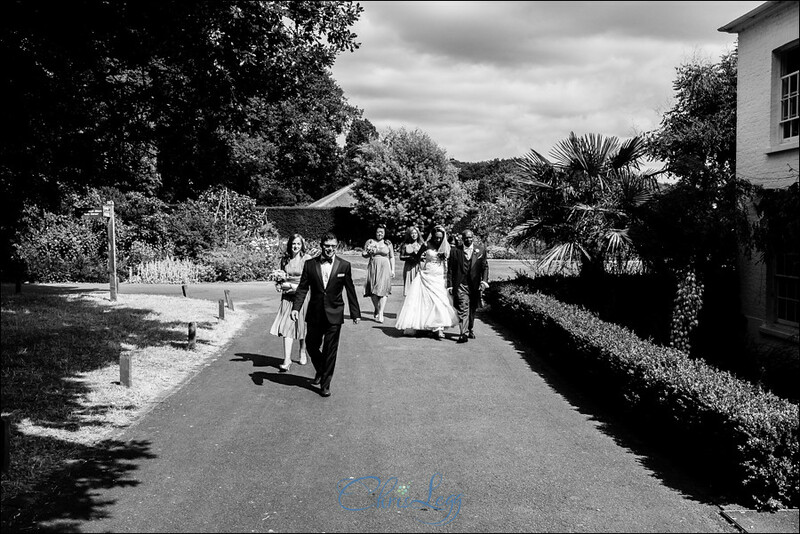 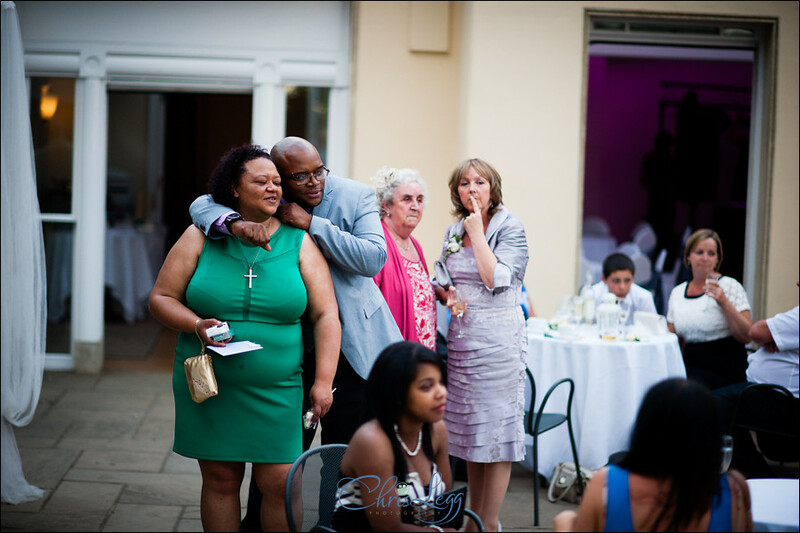 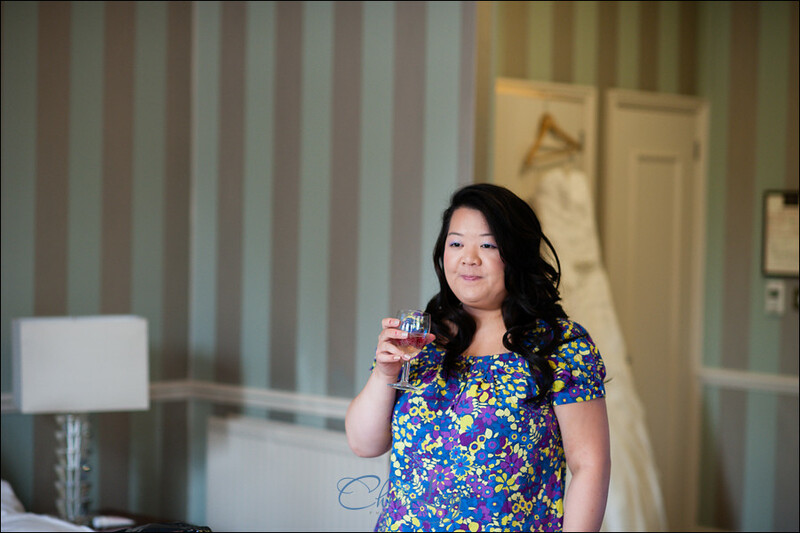 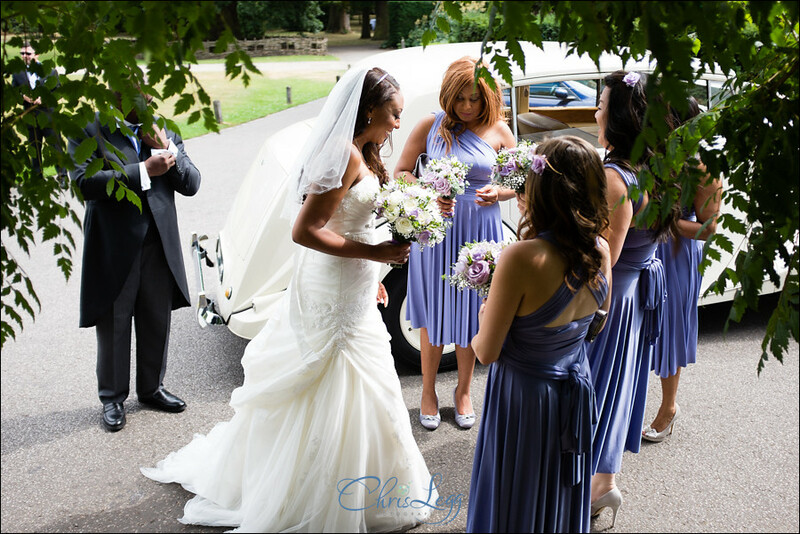 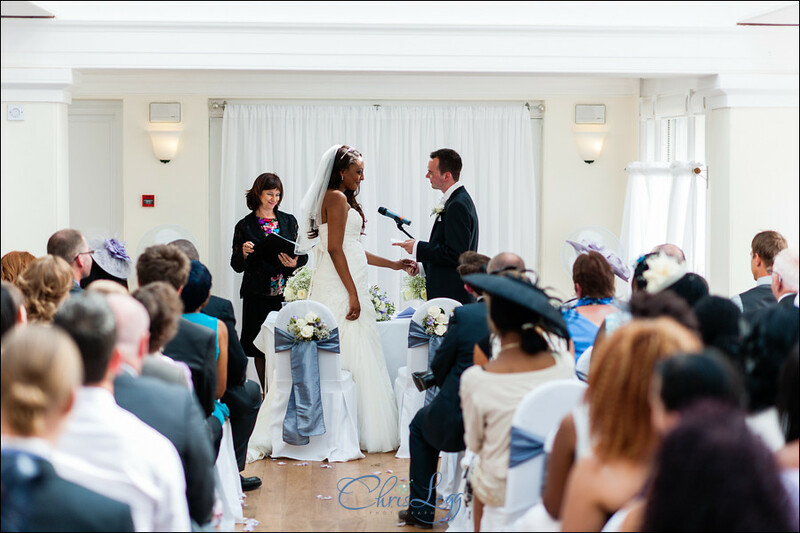 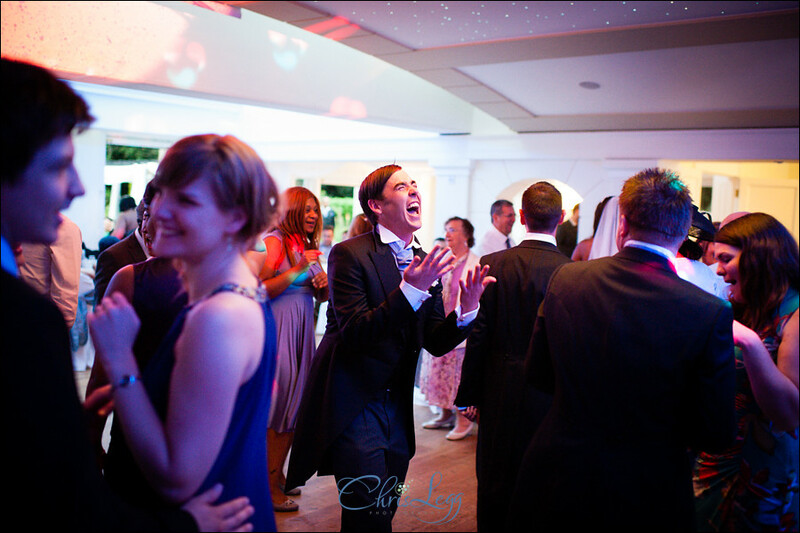 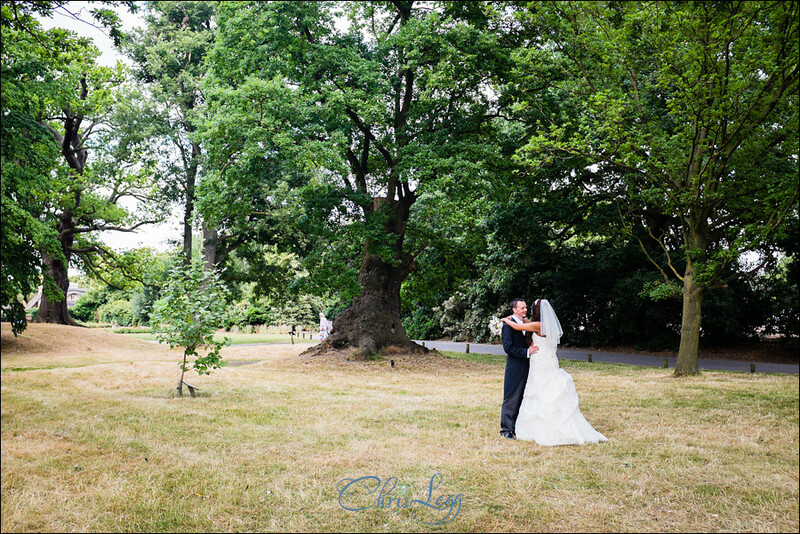 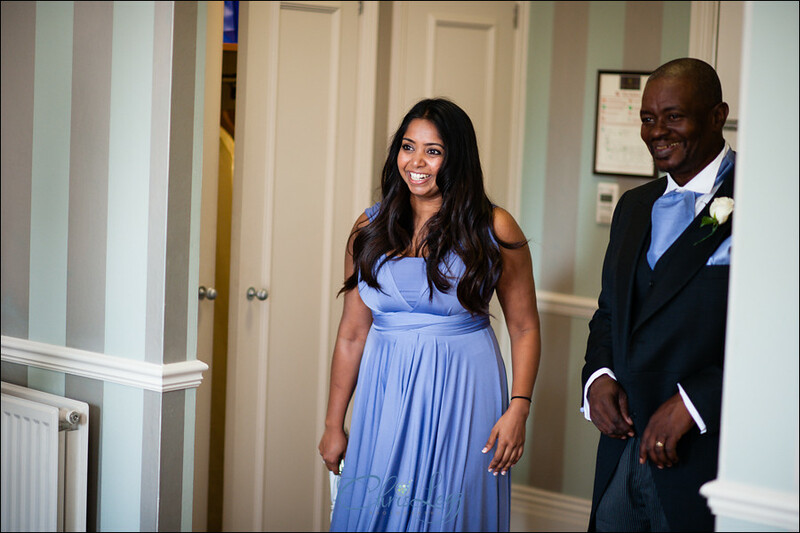 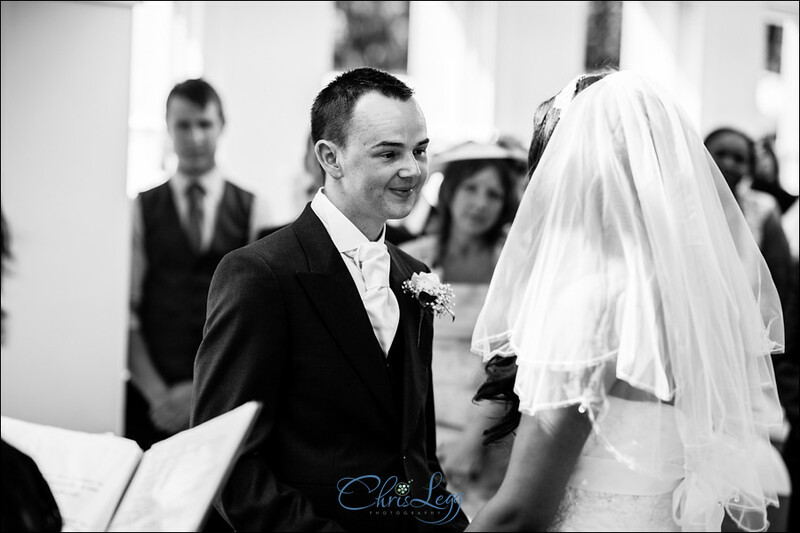 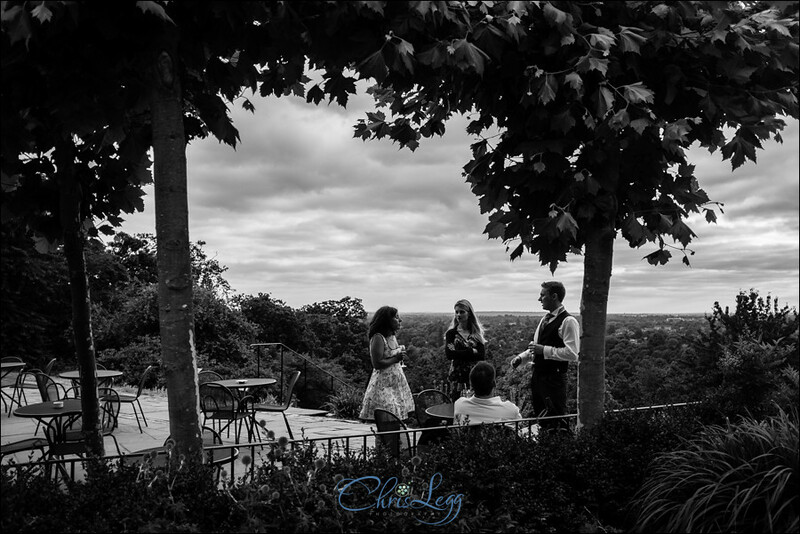 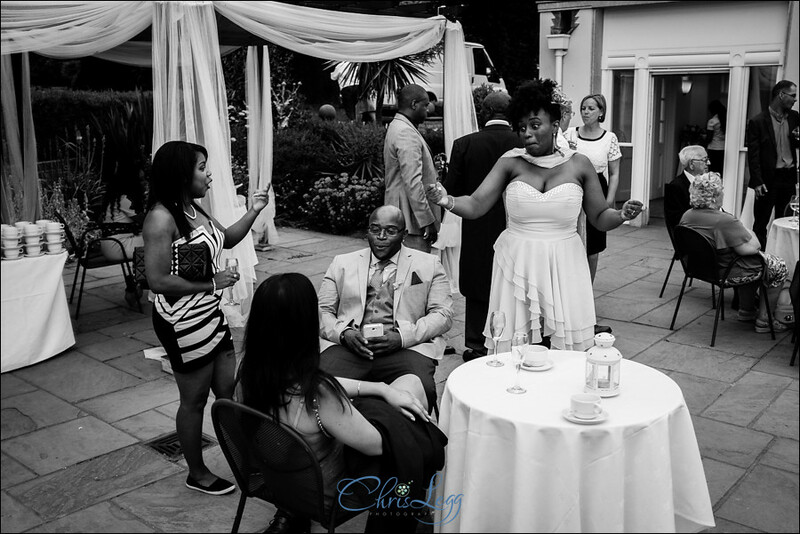 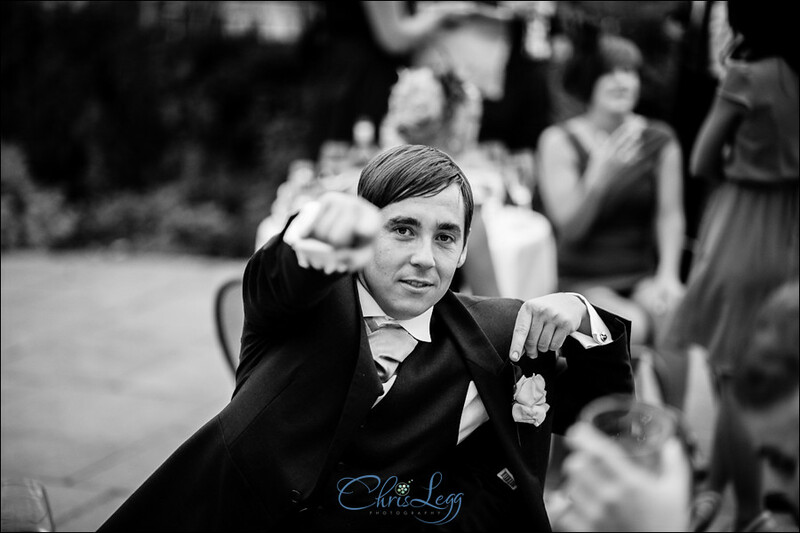 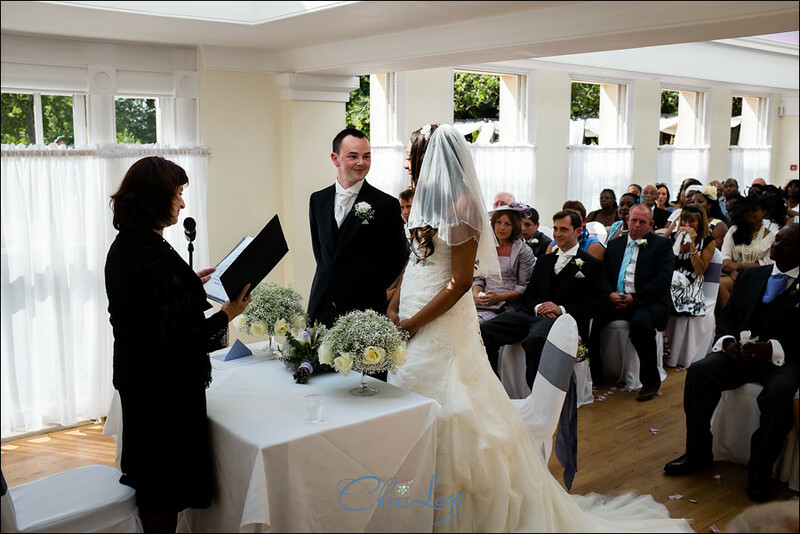 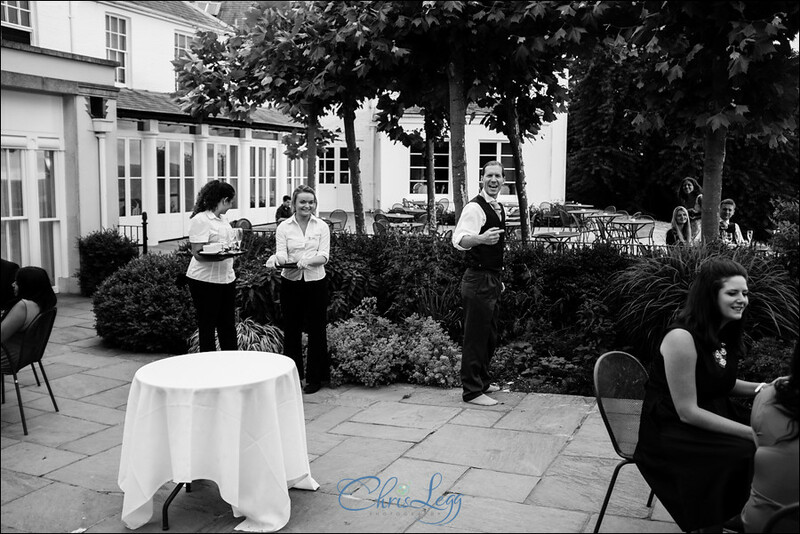 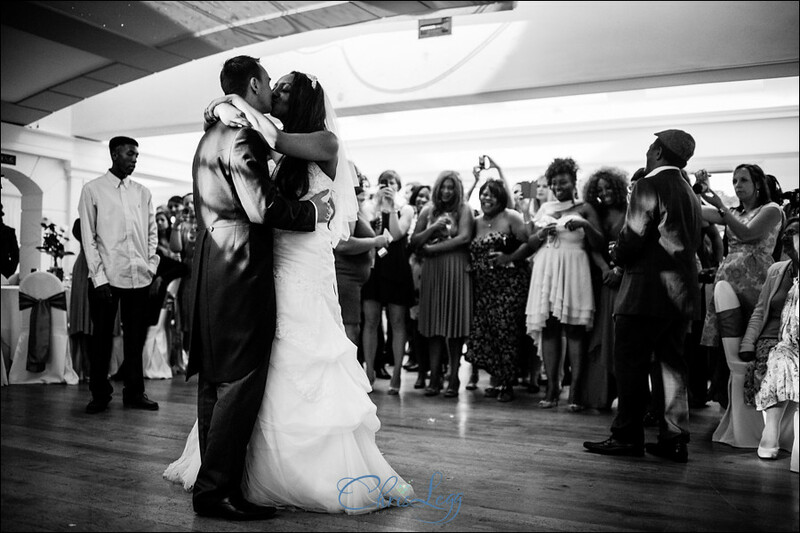 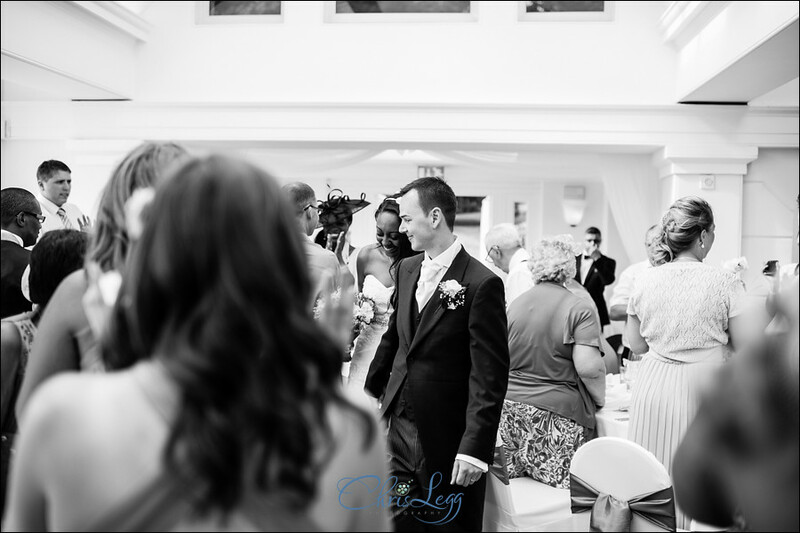 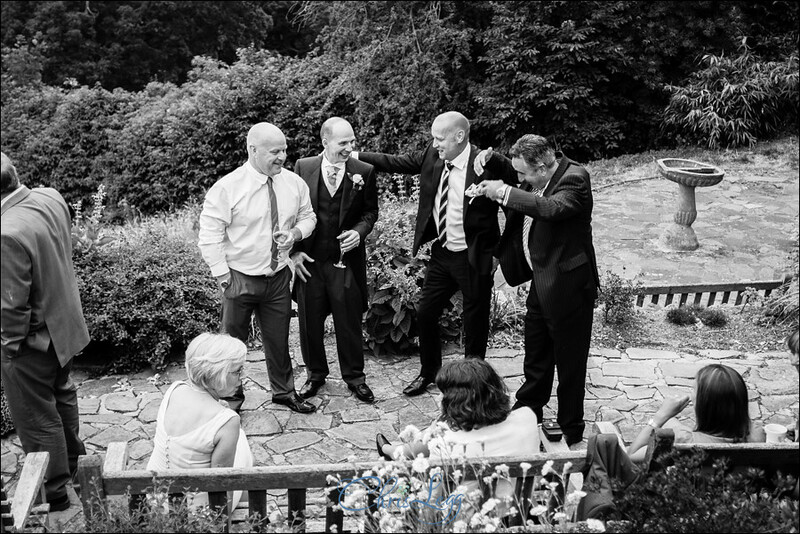 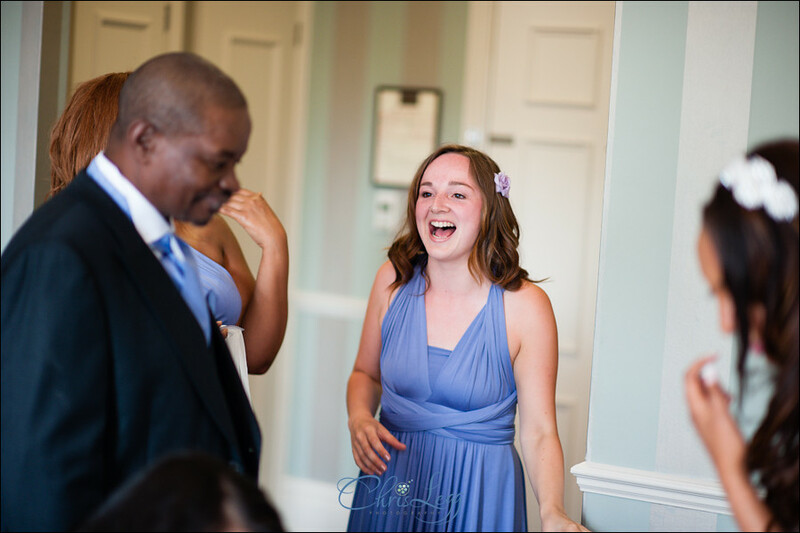 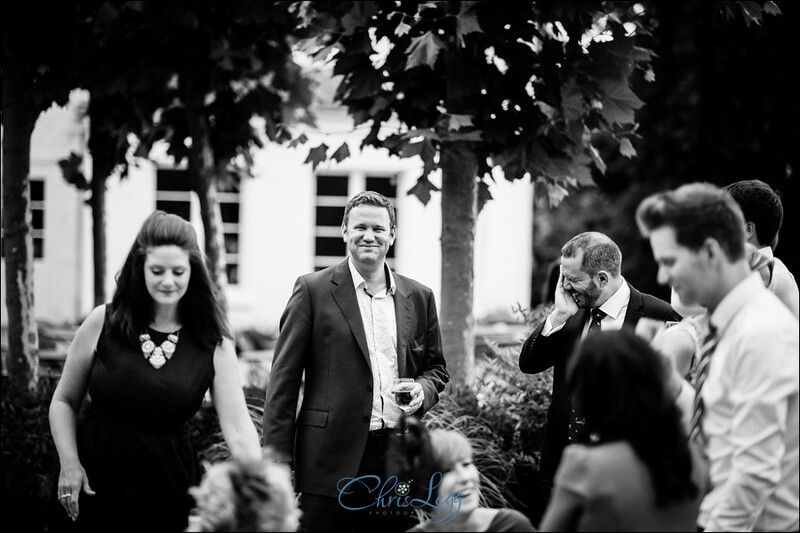 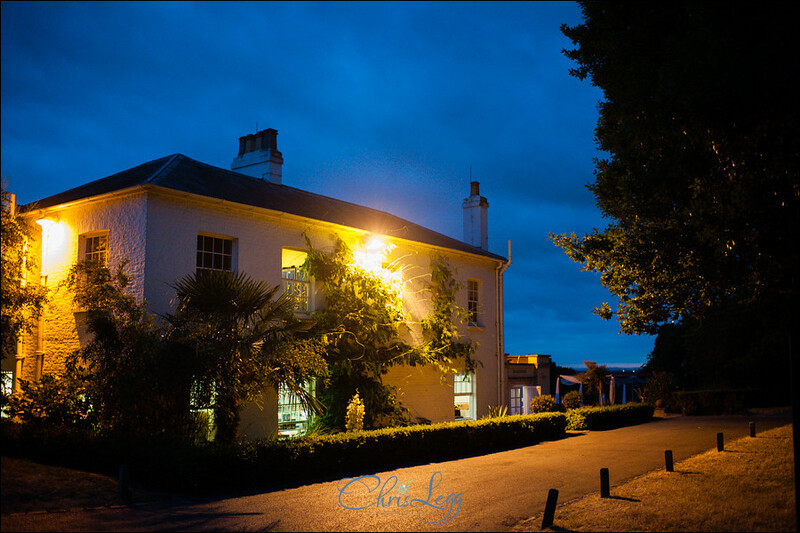 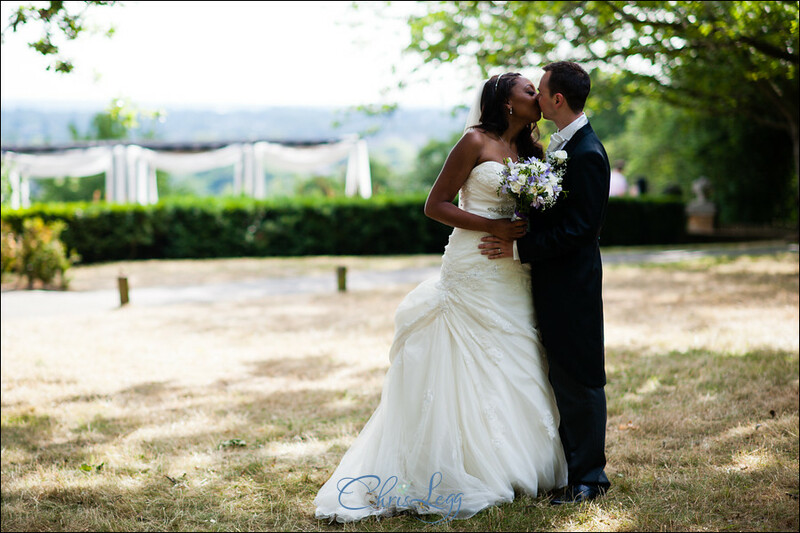 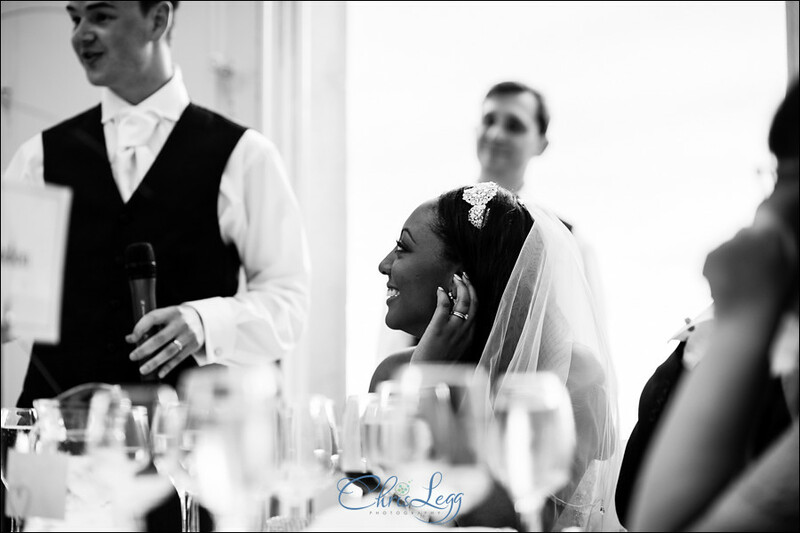 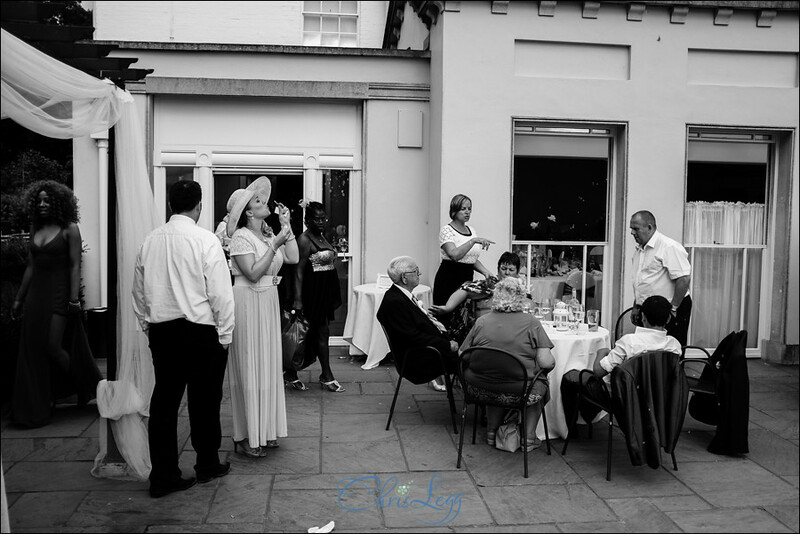 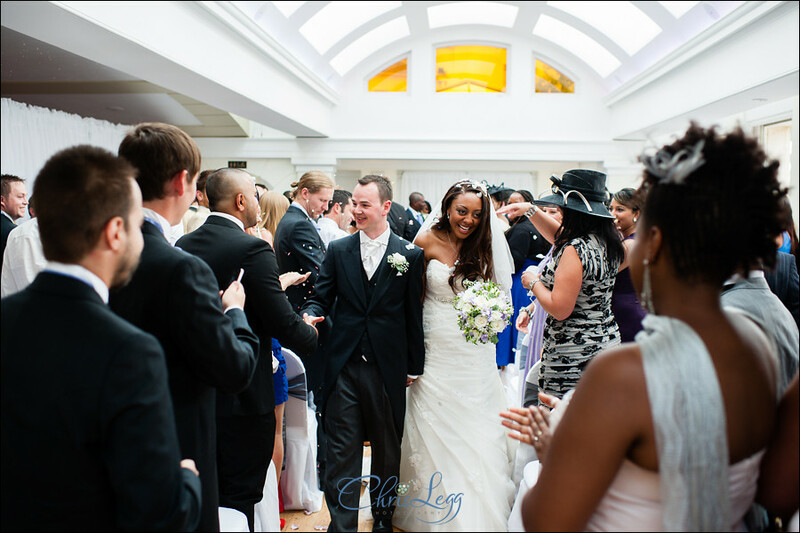 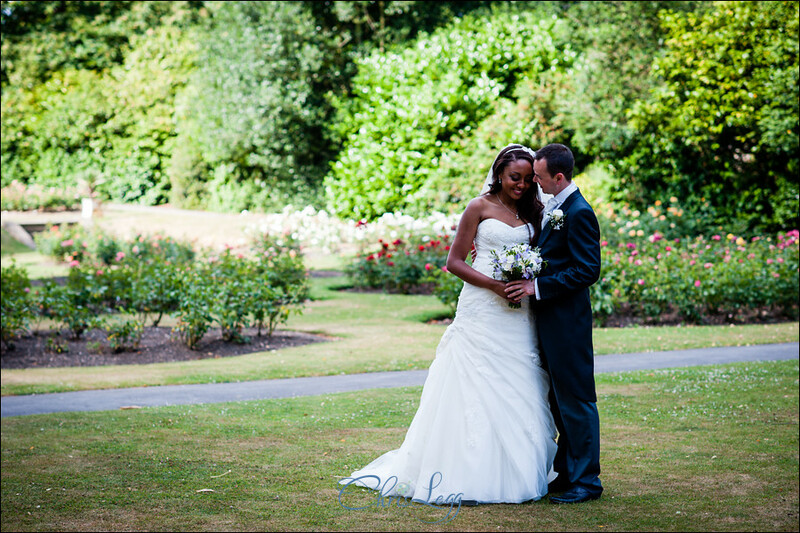 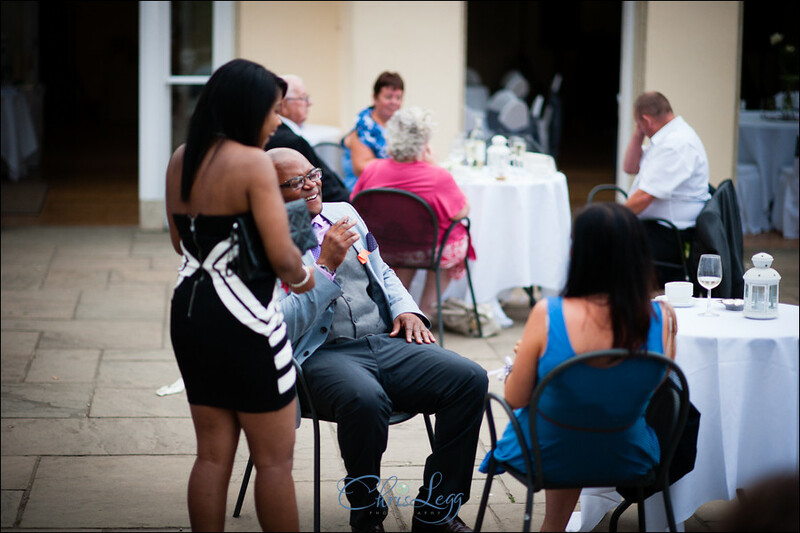 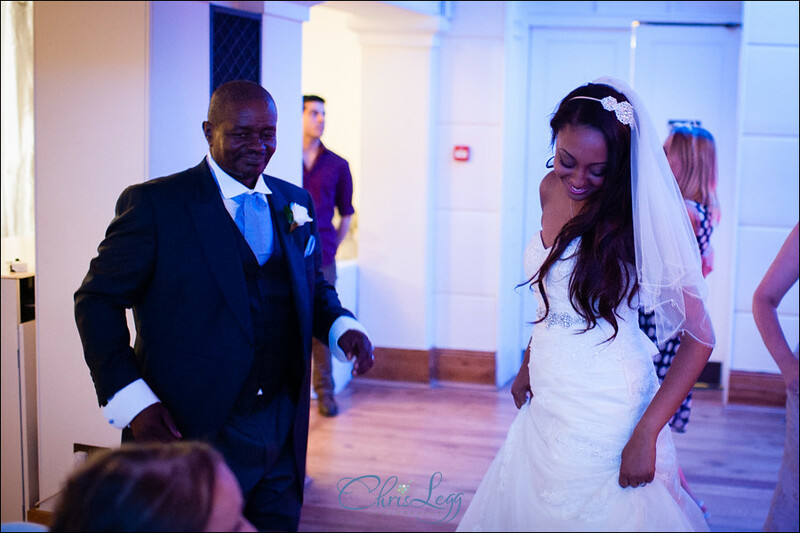 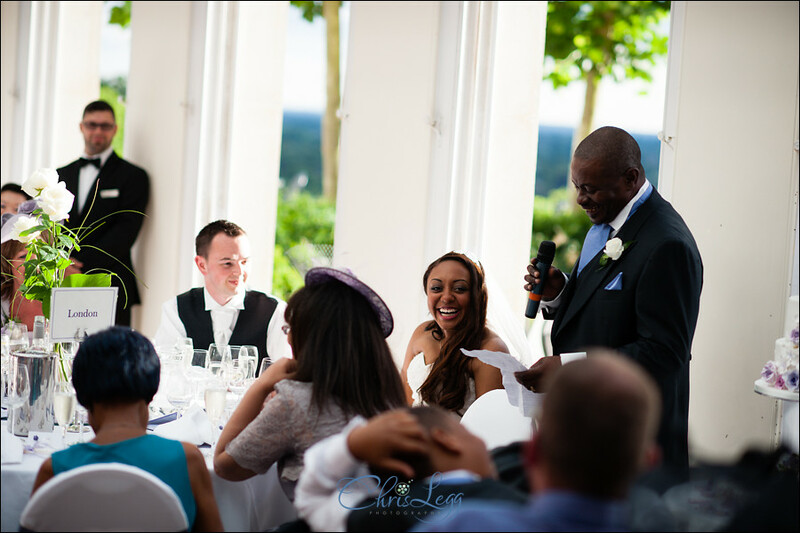 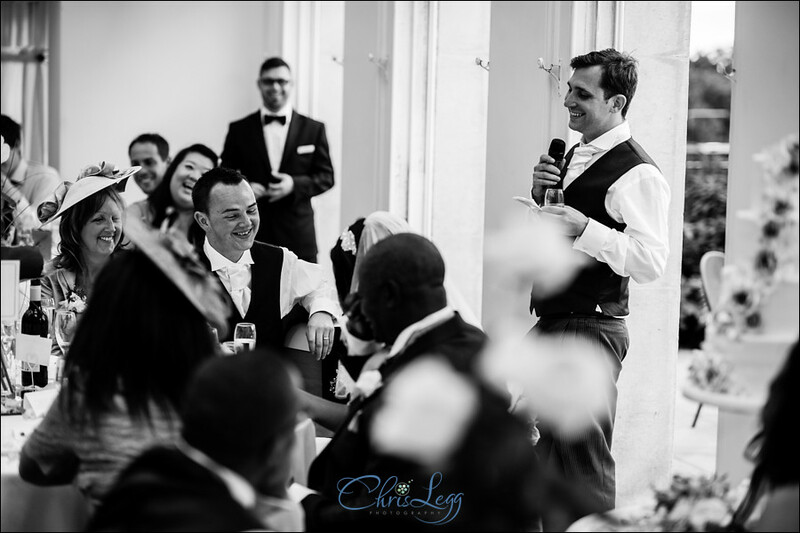 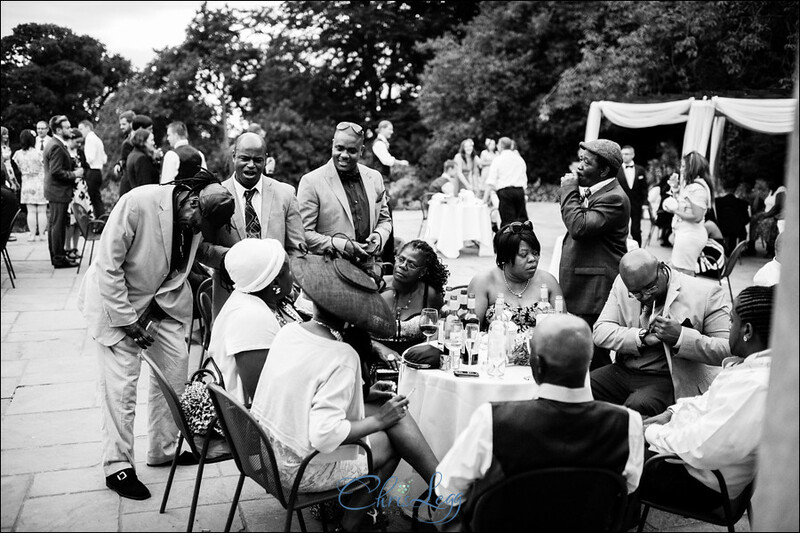 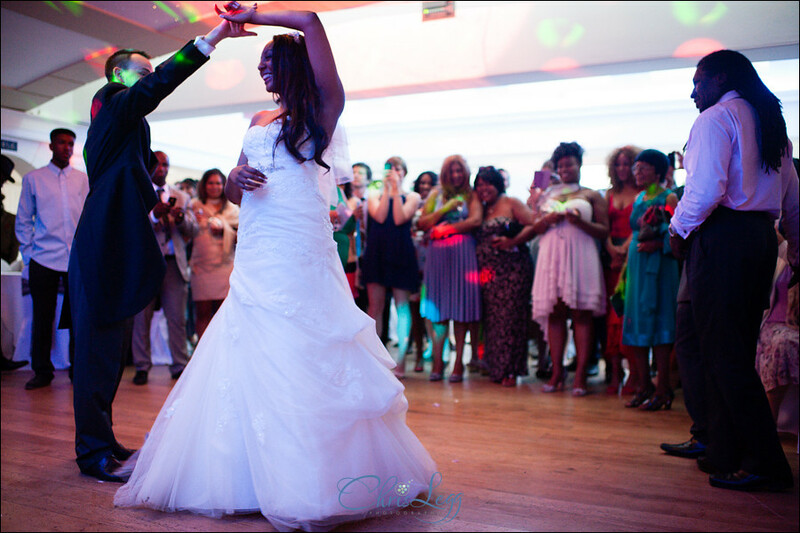 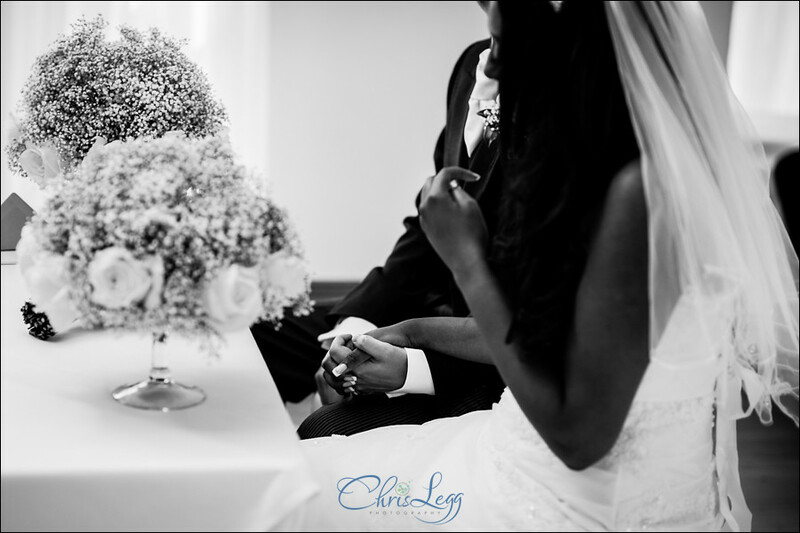 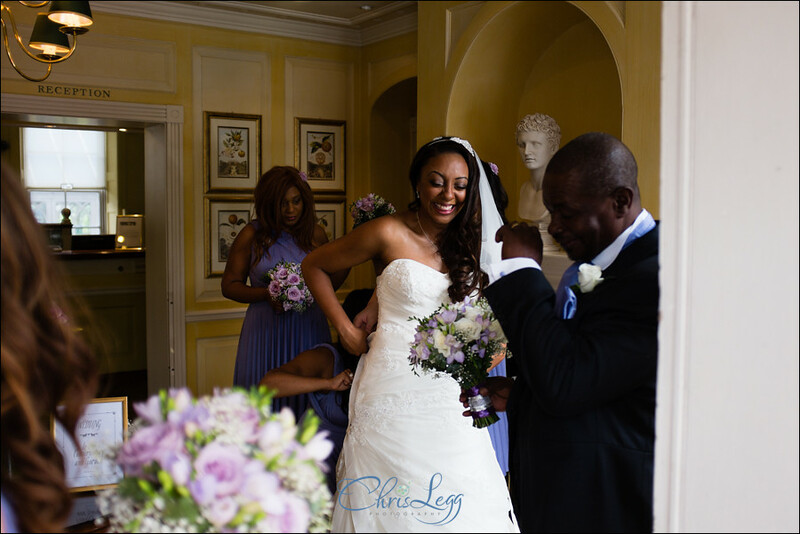 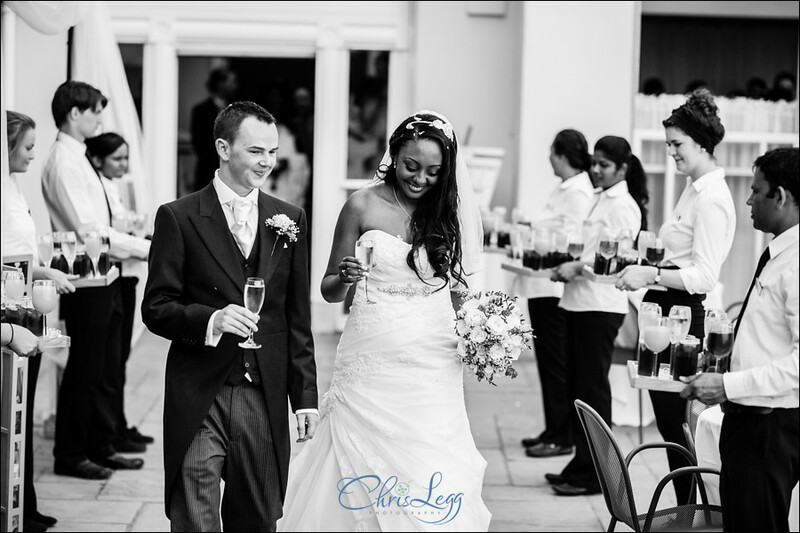 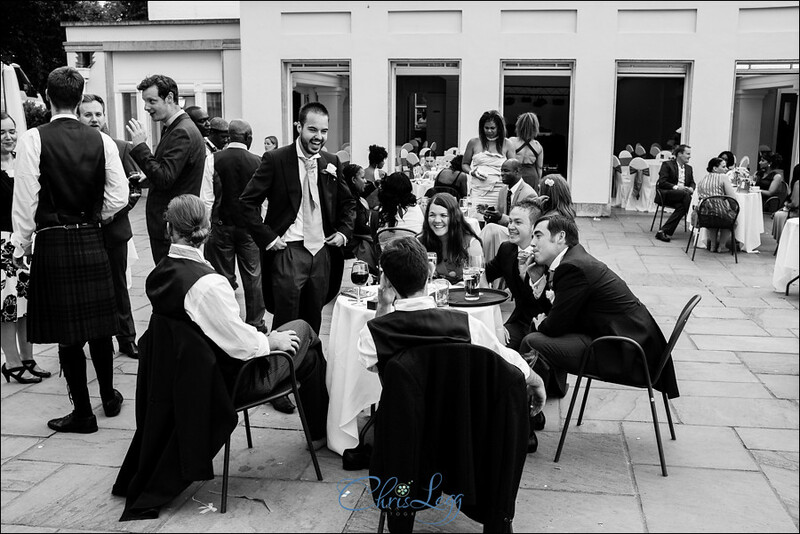 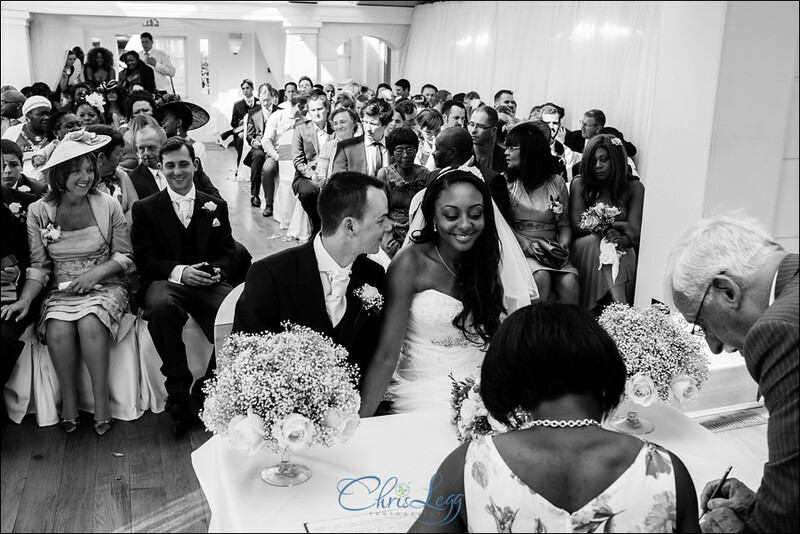 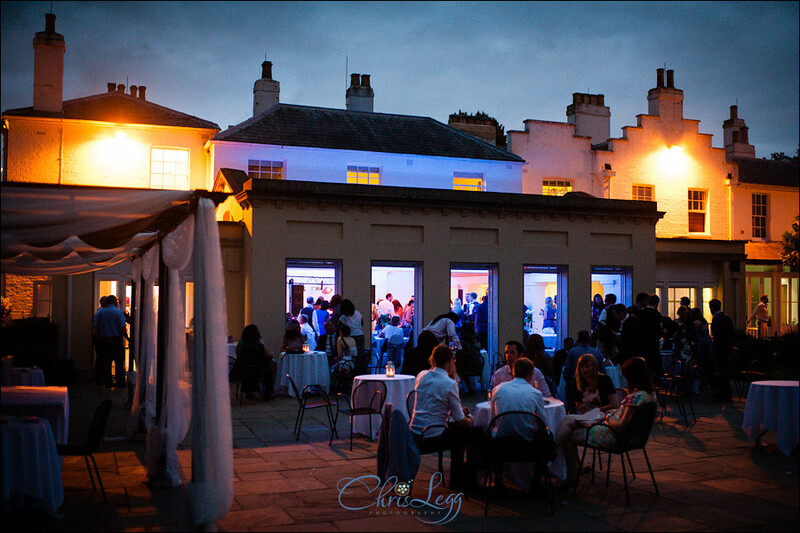 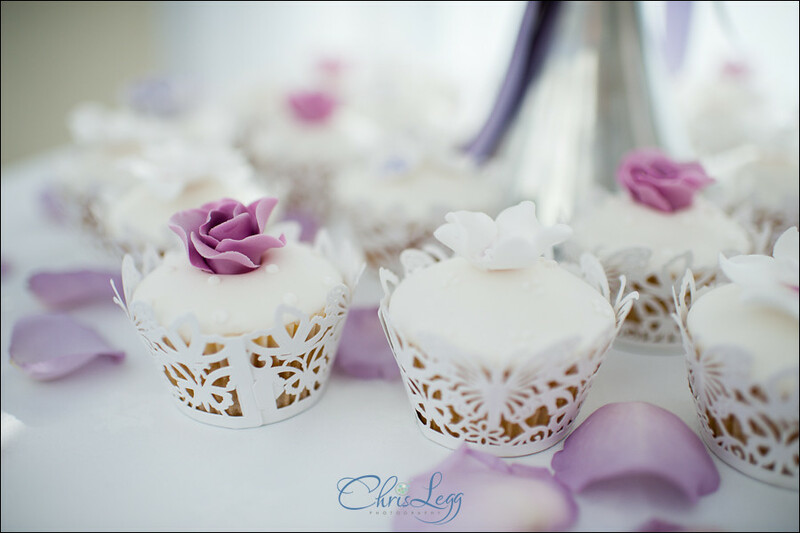 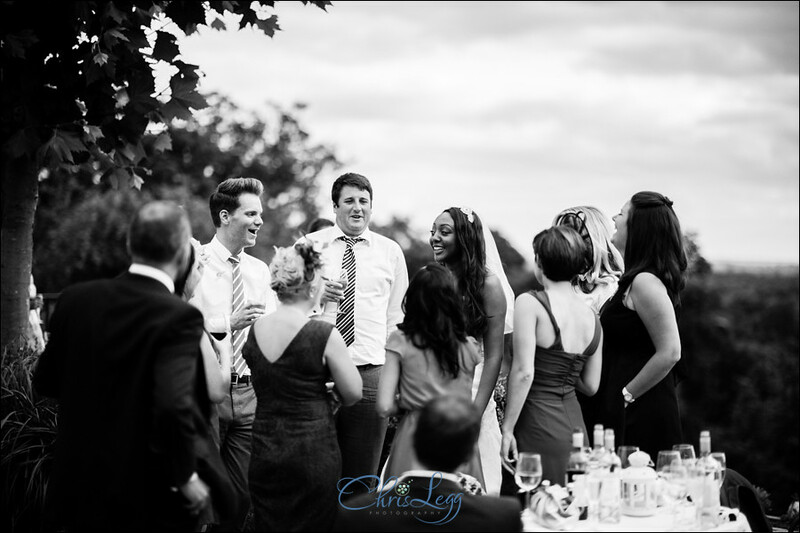 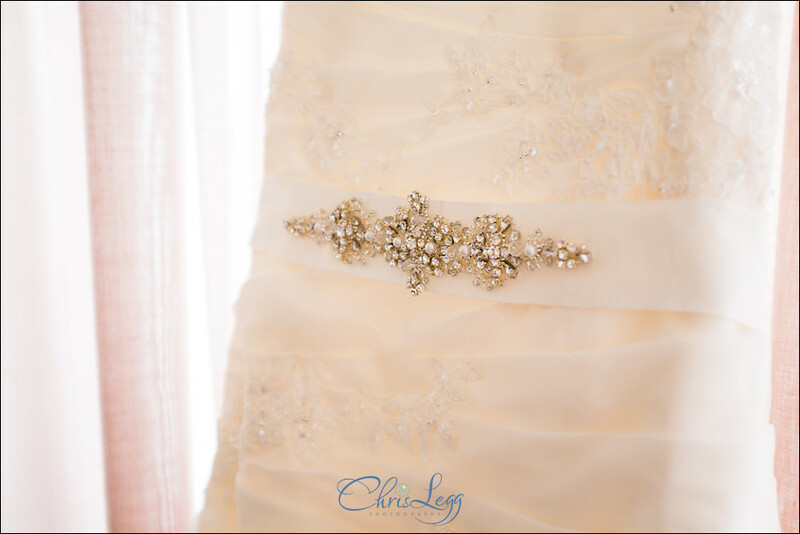 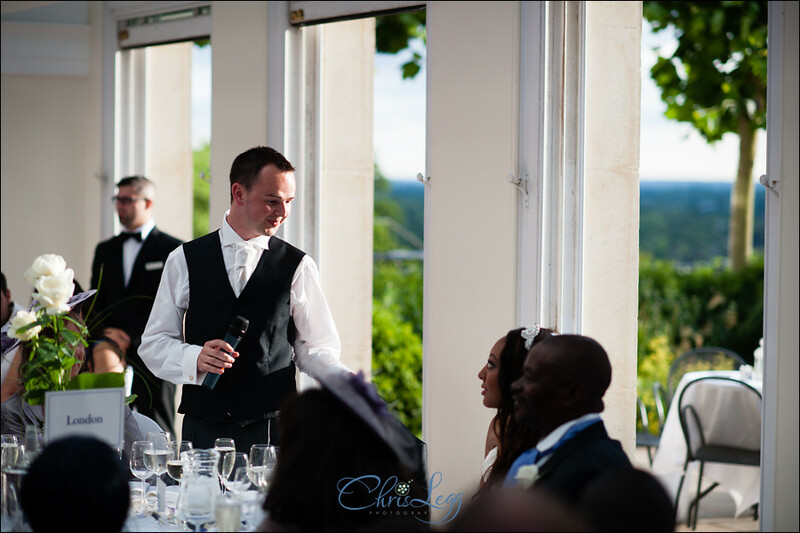 My second wedding at Pembroke Lodge in a week saw Dan and Dionne tying the knot. 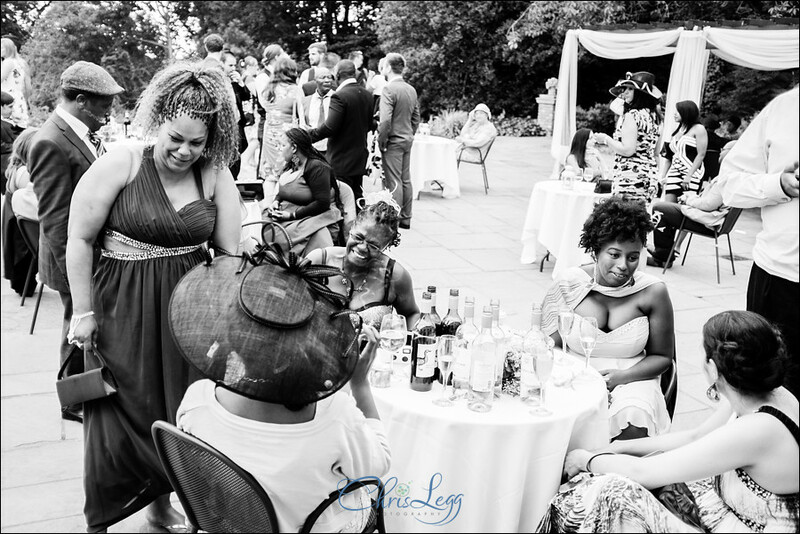 Blessed once again with the weather, and thankfully a lot cooler than the previous outing, it was a fantastic day from start to finish. 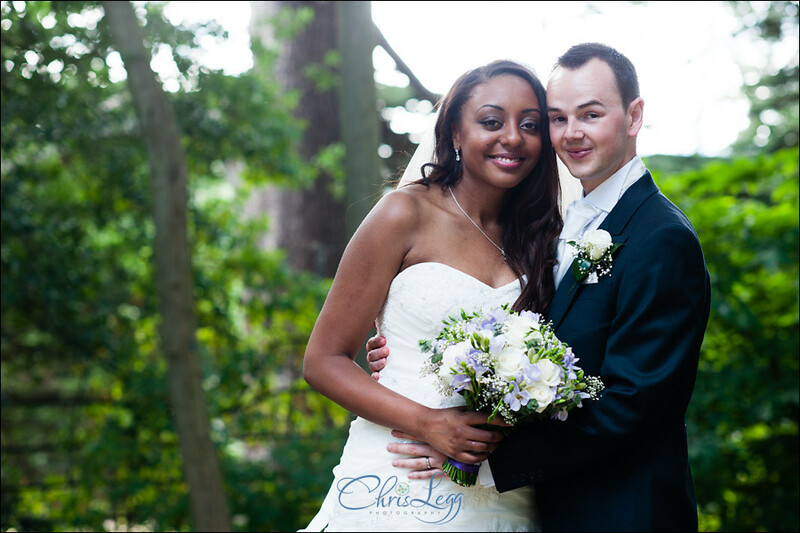 I’d met up with Dan and Dionne a couple of weeks earlier for their pre-wedding shoot at Pembroke Lodge and it was good to see them again. 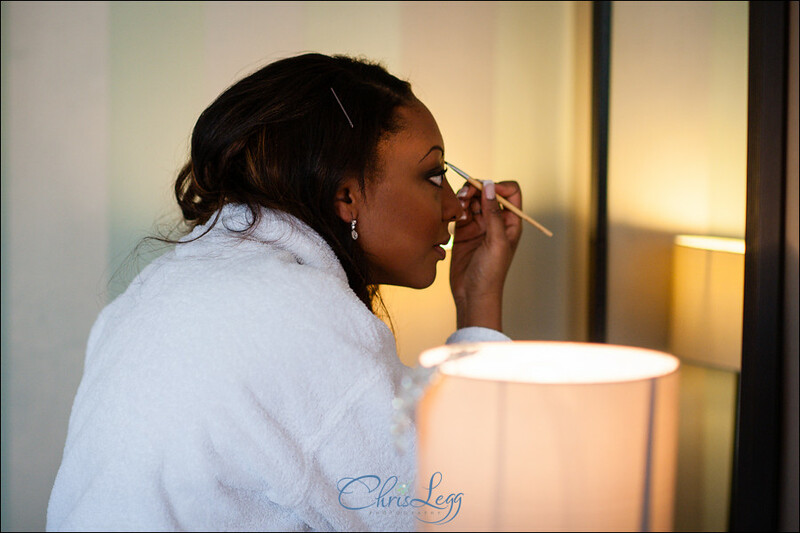 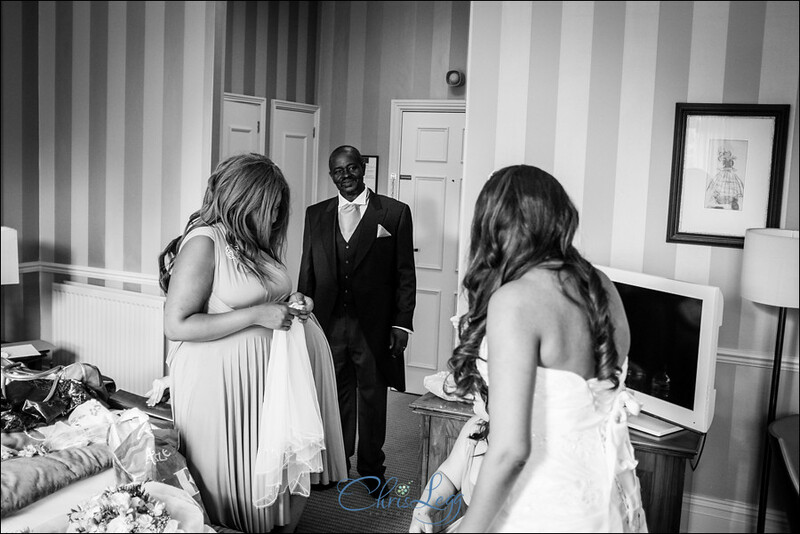 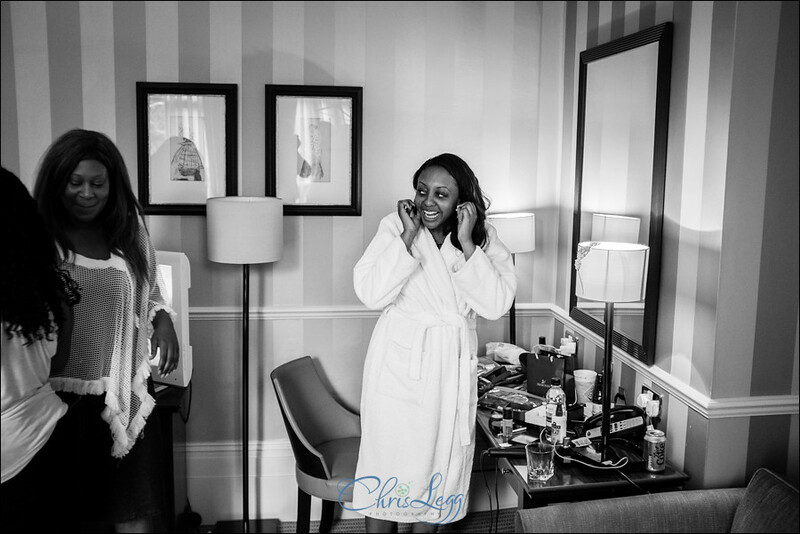 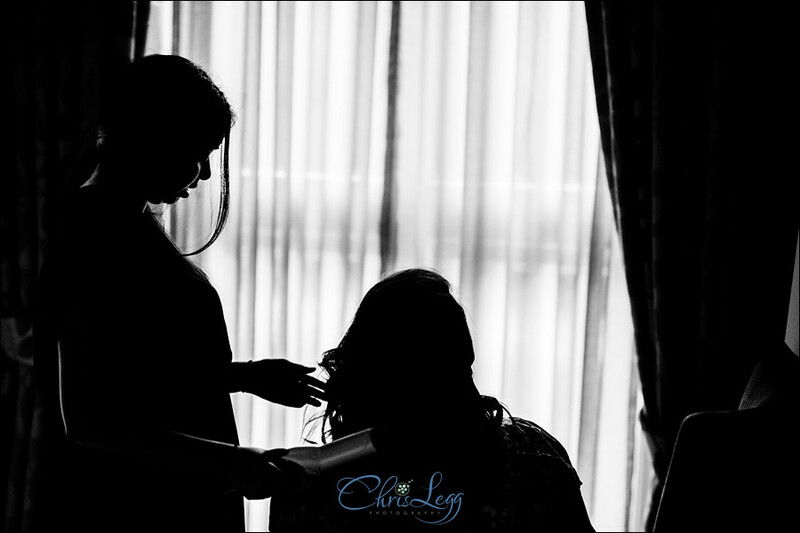 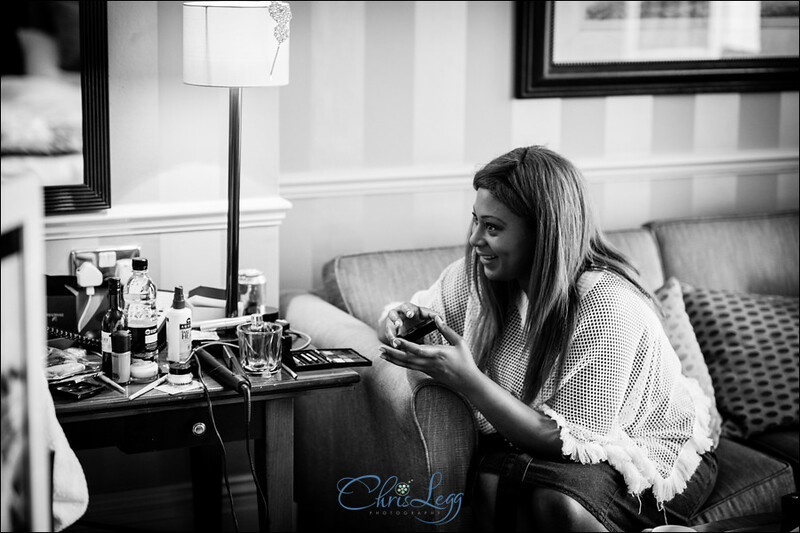 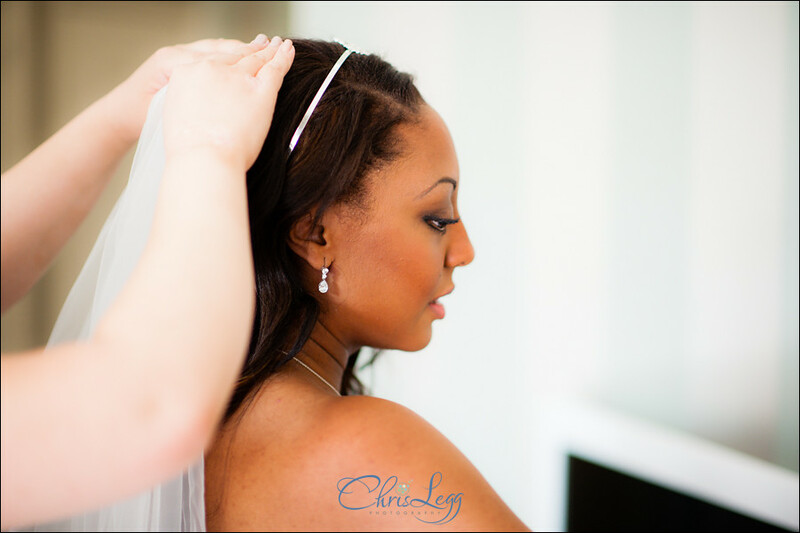 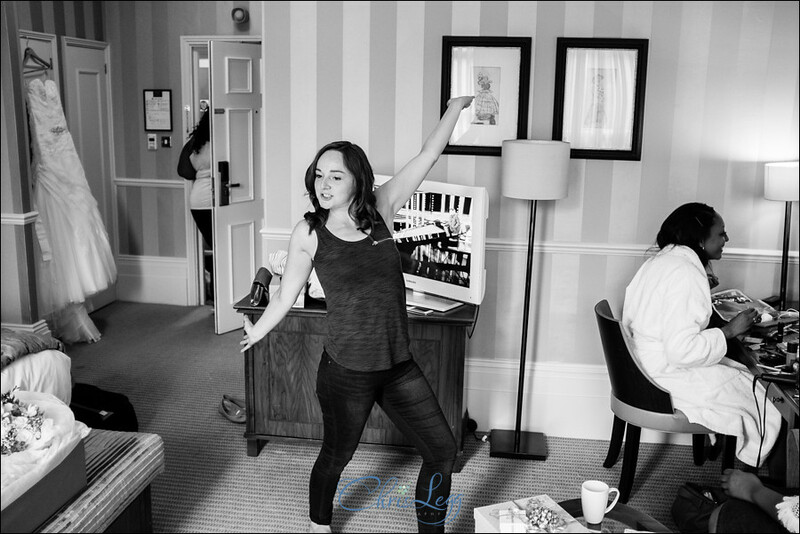 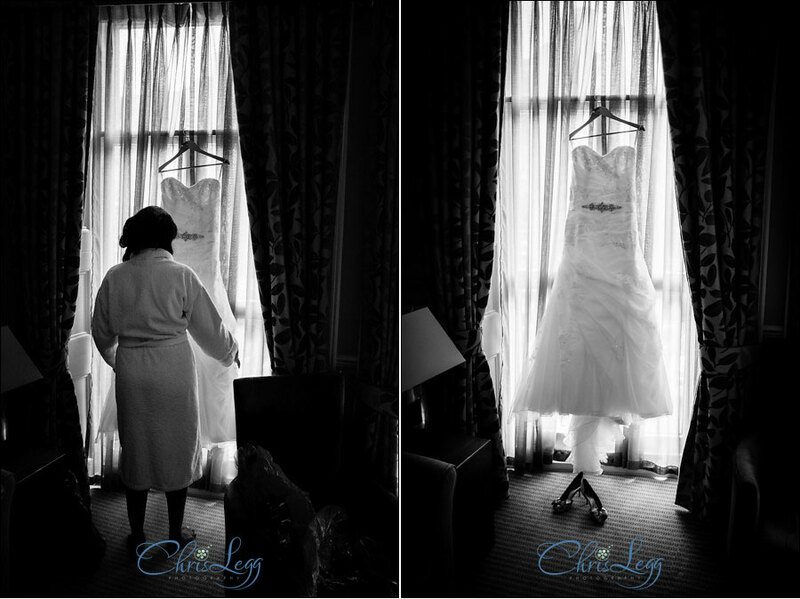 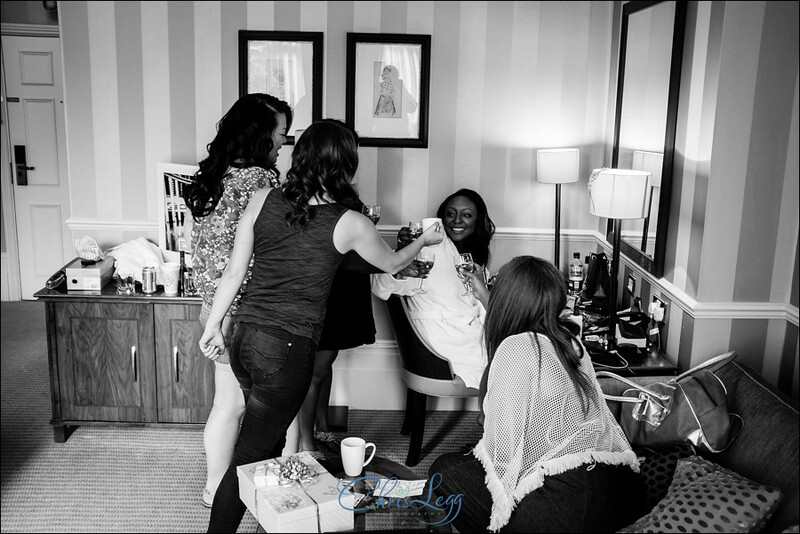 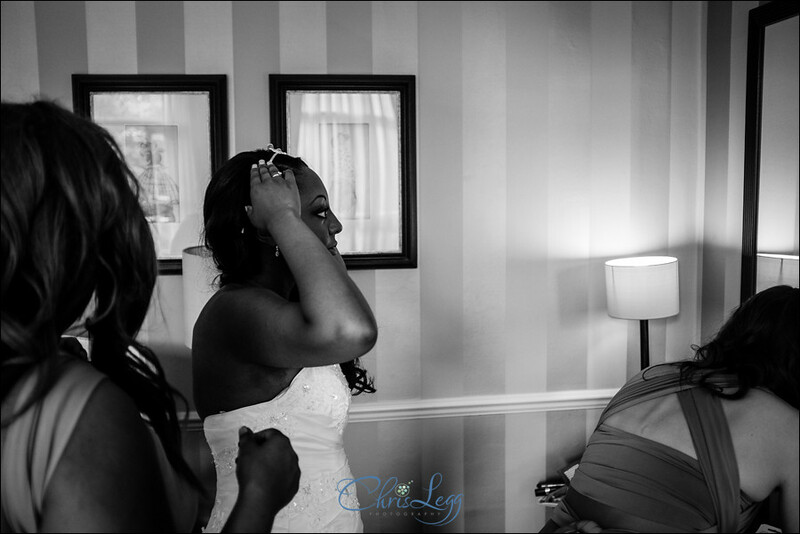 I met up with Dionne at the Richmond Gate Hotel where they had lucked out as there were hair and make-up artists there for a charity event doing make-overs which lots of the ladies from the wedding party were taking full advantage of whilst Dionne was getting ready in her room. 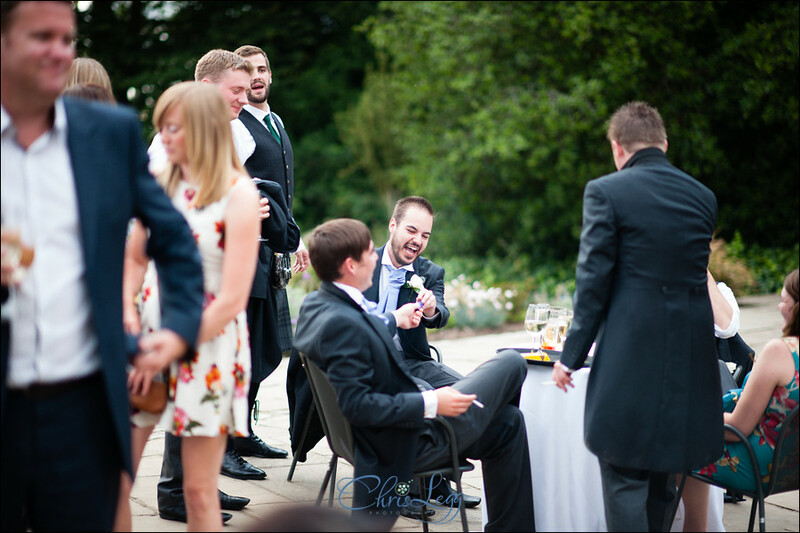 The preps were accompanied by a lot of laughs and fun, everyone on top form and really looking forward to the day. 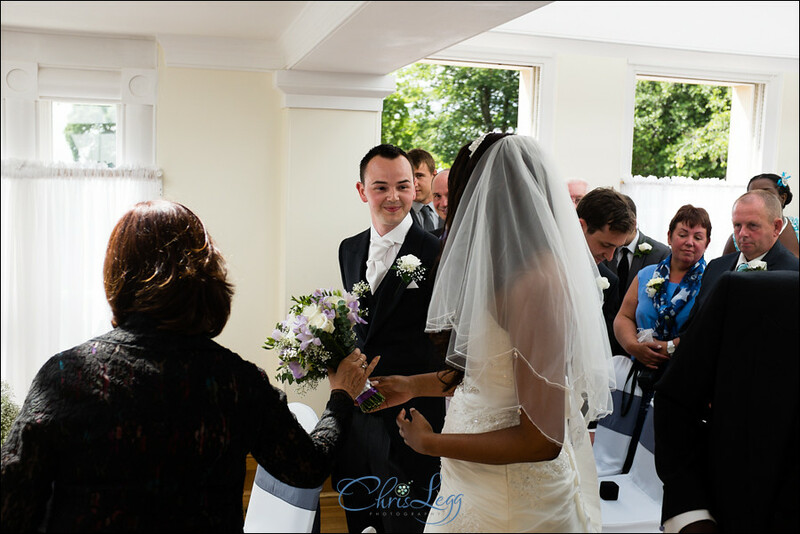 A perfect start really! 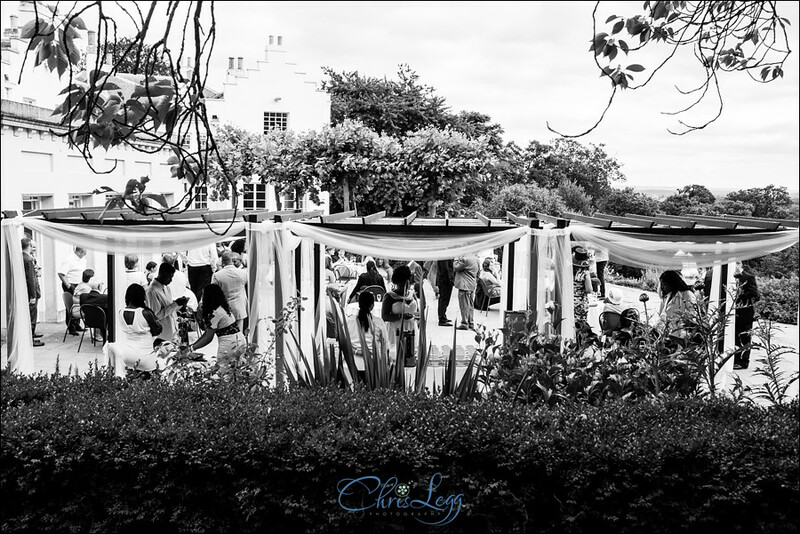 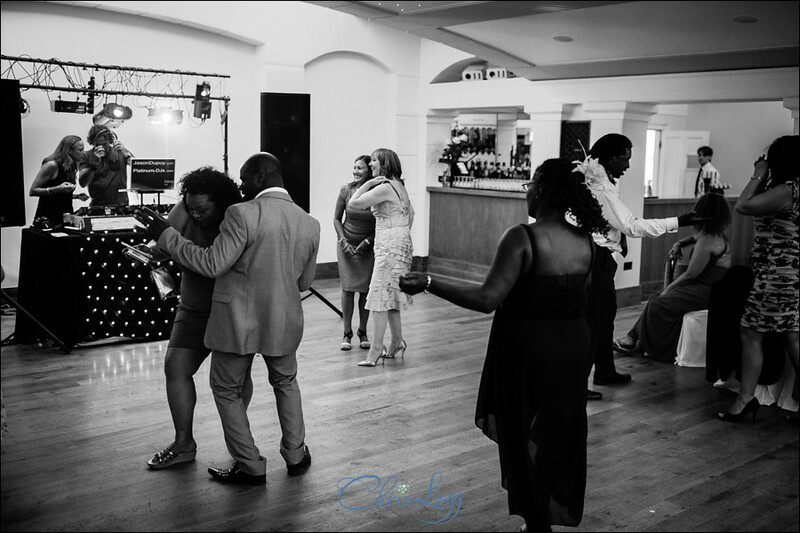 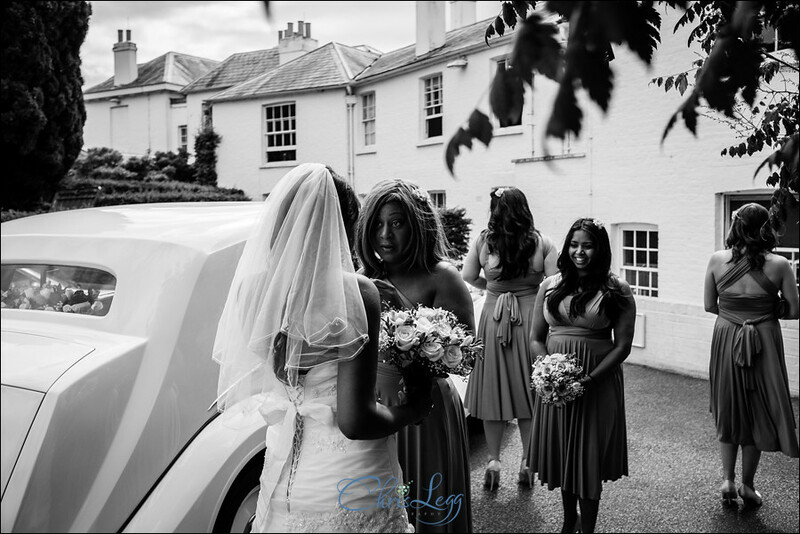 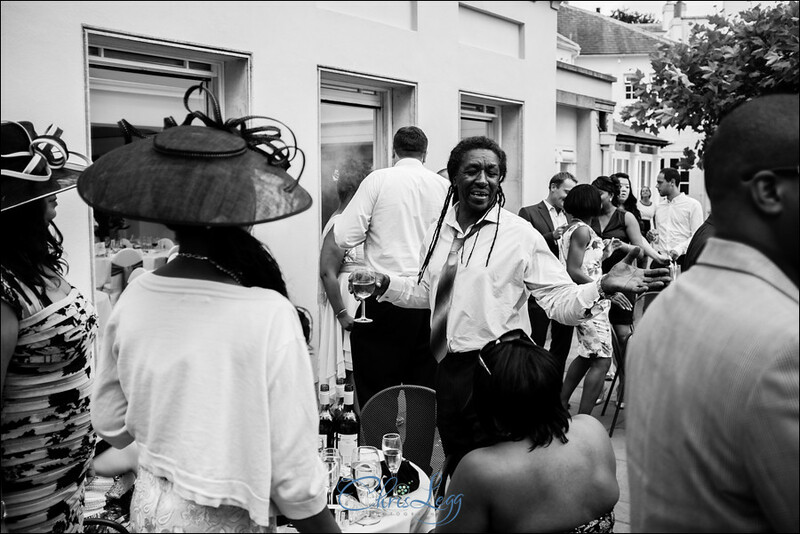 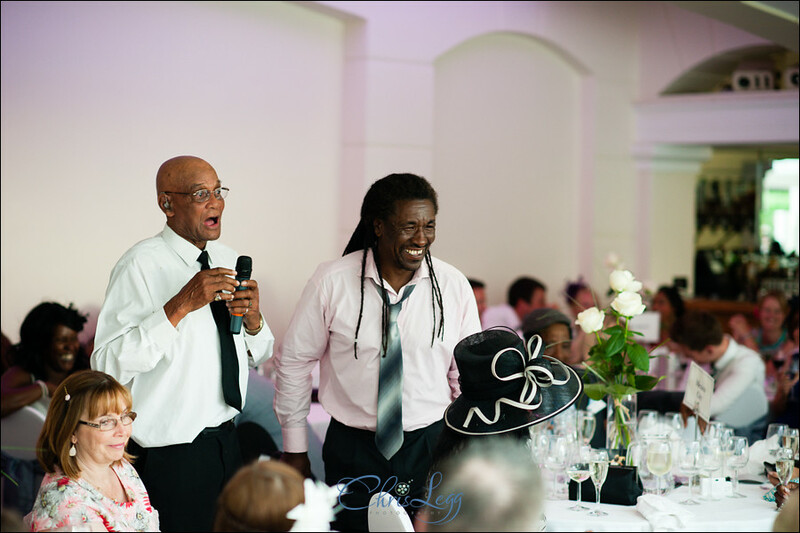 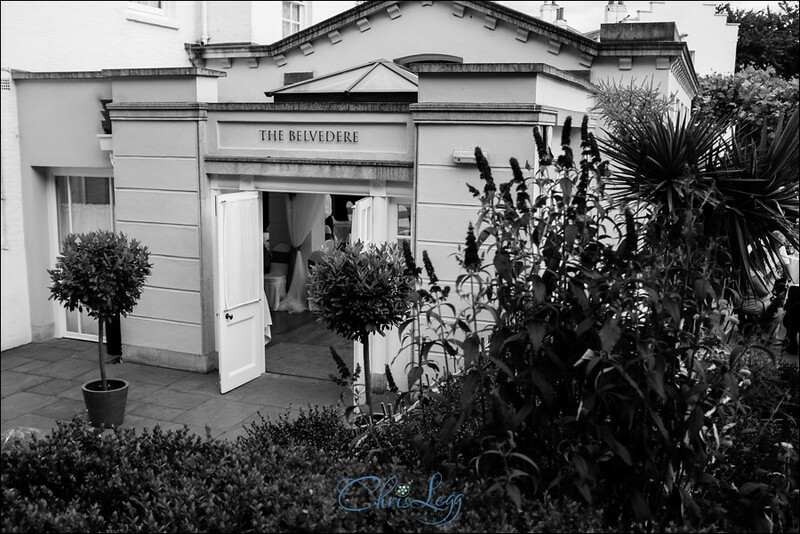 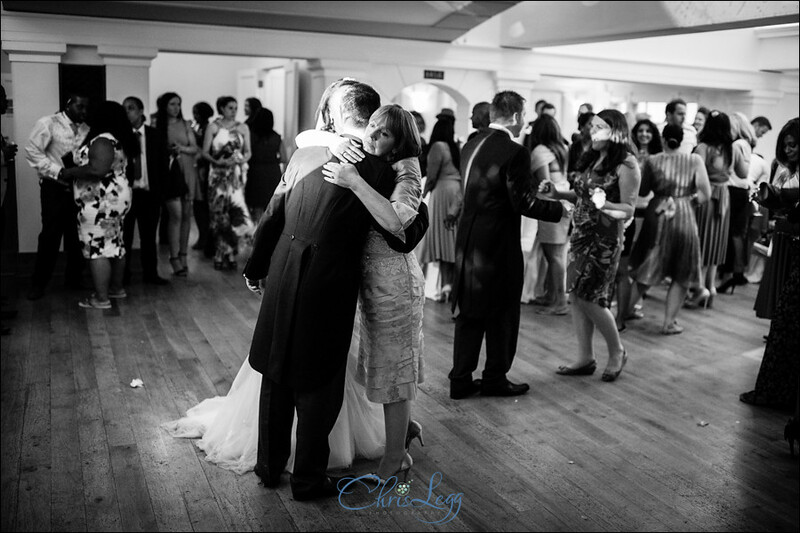 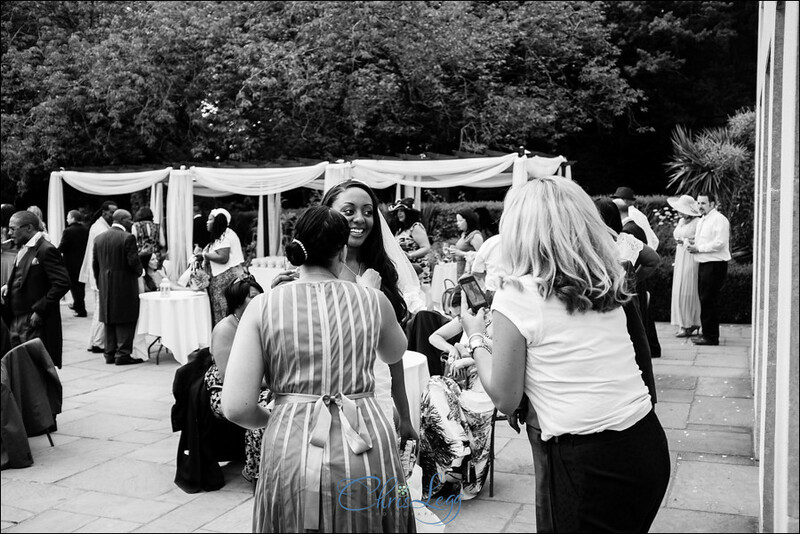 We hopped in the cars and went straight into Richmond Park to the delightful Pembroke Lodge and a fully packed out Belvedere Suite, people had come from far and wide to be part of the day. 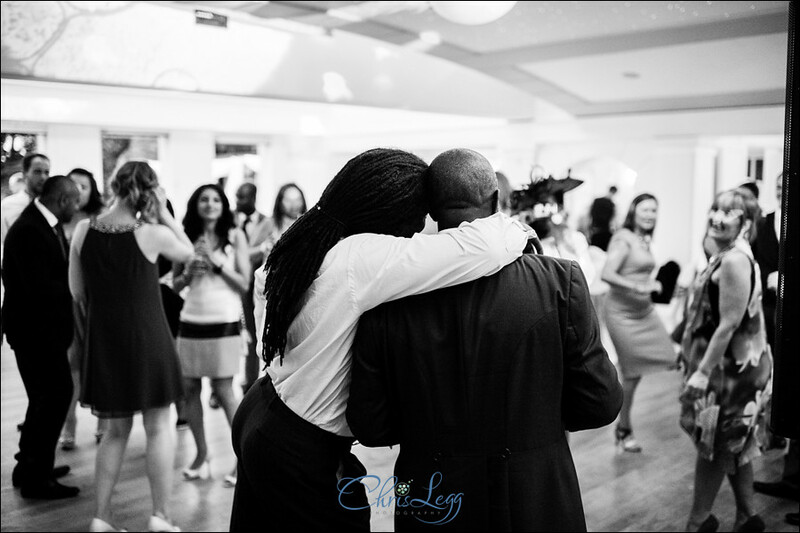 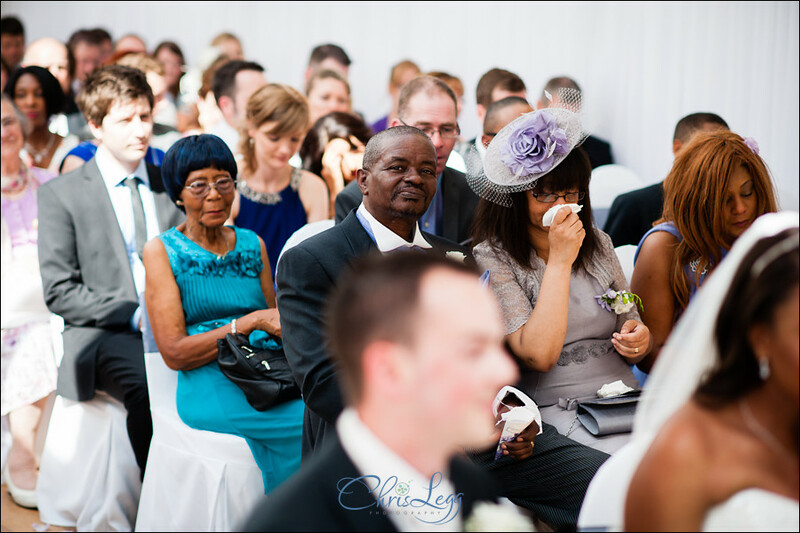 An emotional ceremony ensued with Dionne holding good to her promise not to cry for at least 15 seconds. 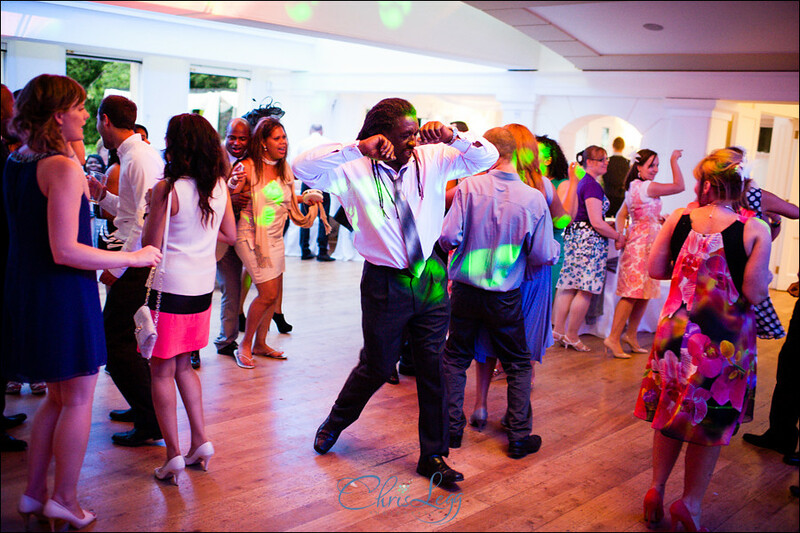 Maybe 20. 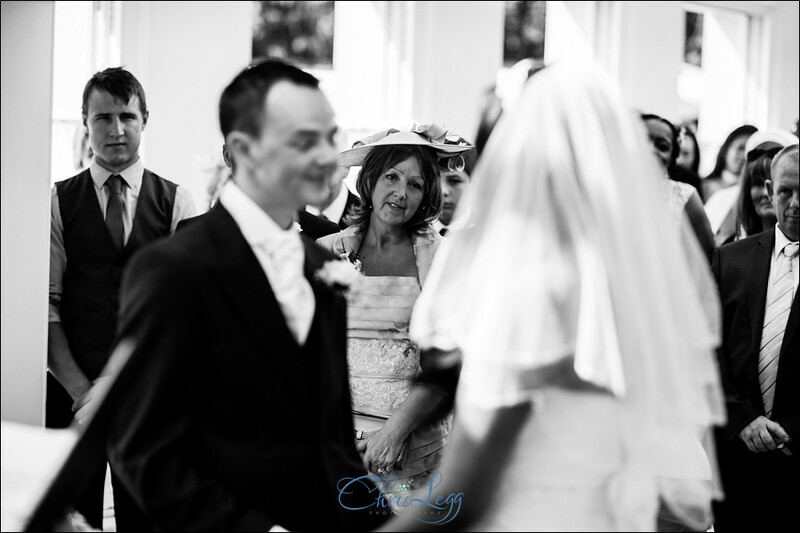 In the meantime Dan looked as proud as any man I have ever seen, there was no question that they were perfect for each other. 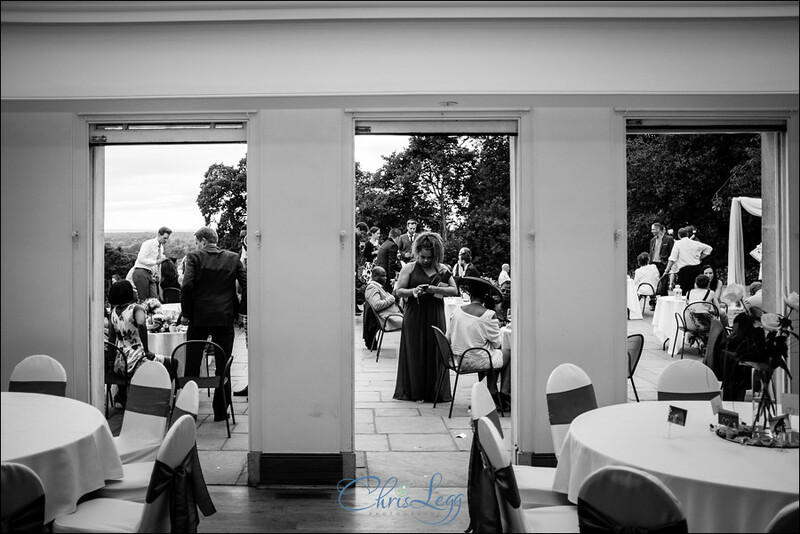 A quick turnaround of the room whilst the guests mingled and chatted on the terrace and then everyone got to enjoy a superb meal followed by some great speeches. 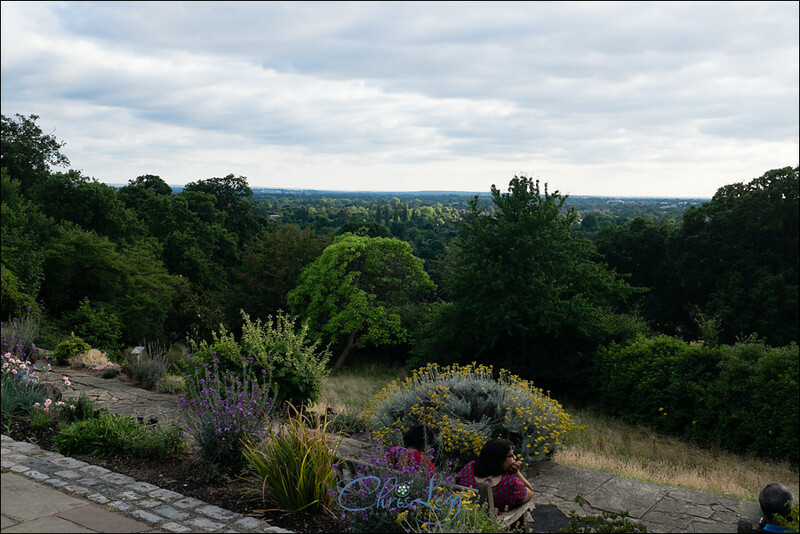 Afterwards it was back onto the terrace where it was absolutely perfect for sitting with friends, having a drink and a laugh in the late summer evening sunshine. 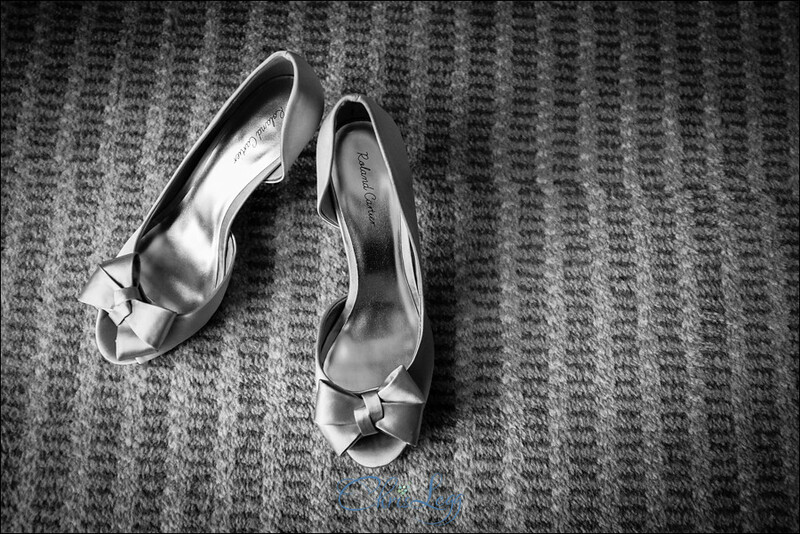 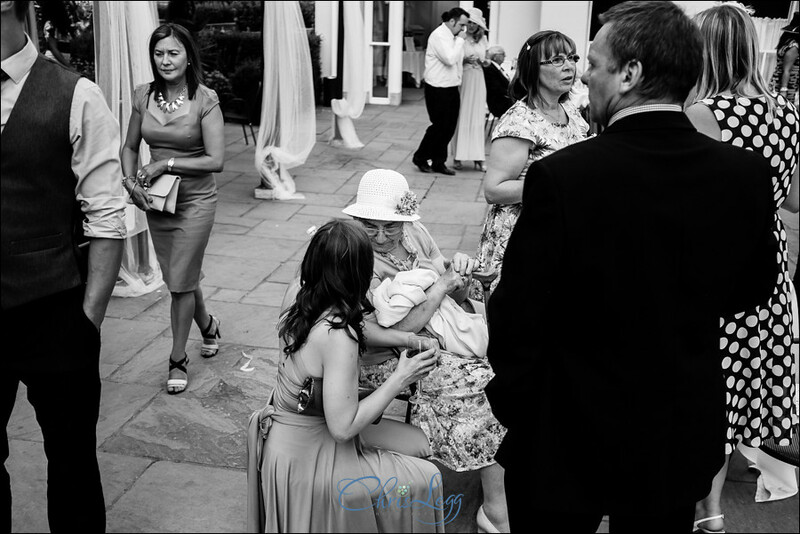 Lots of chatting, a bit of shoe hiding, and two families becoming one. 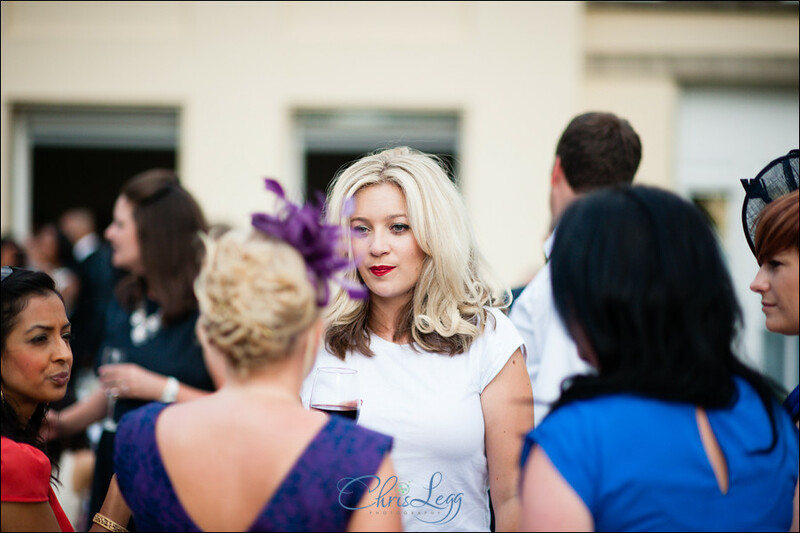 It’s always a pleasure to be at such an event. 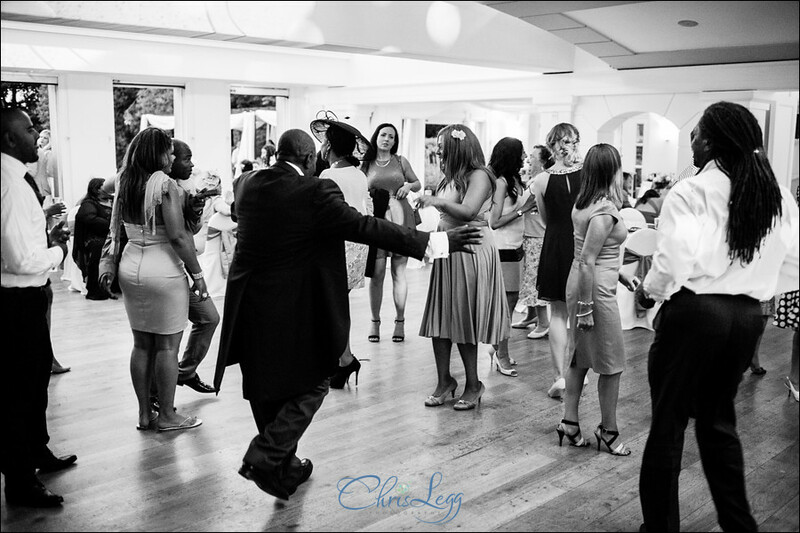 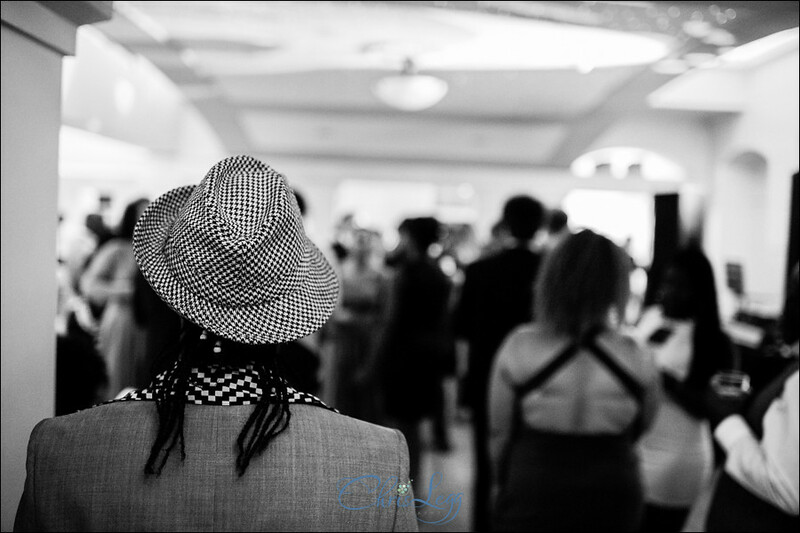 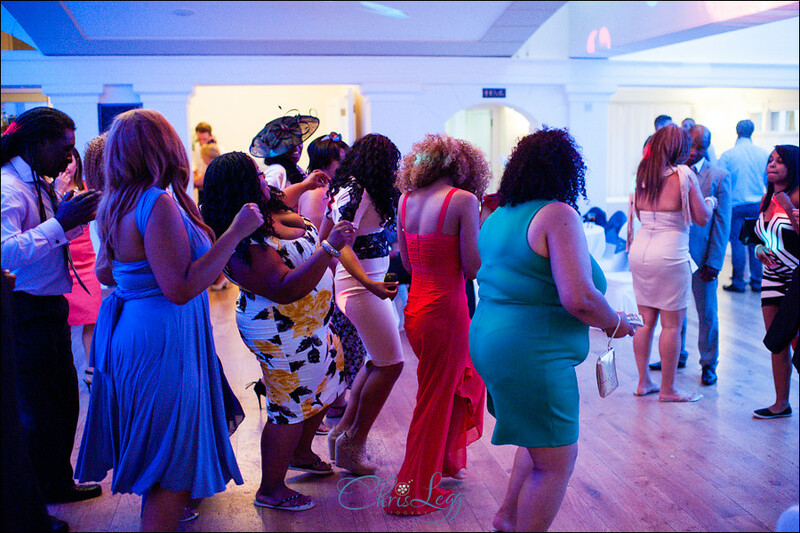 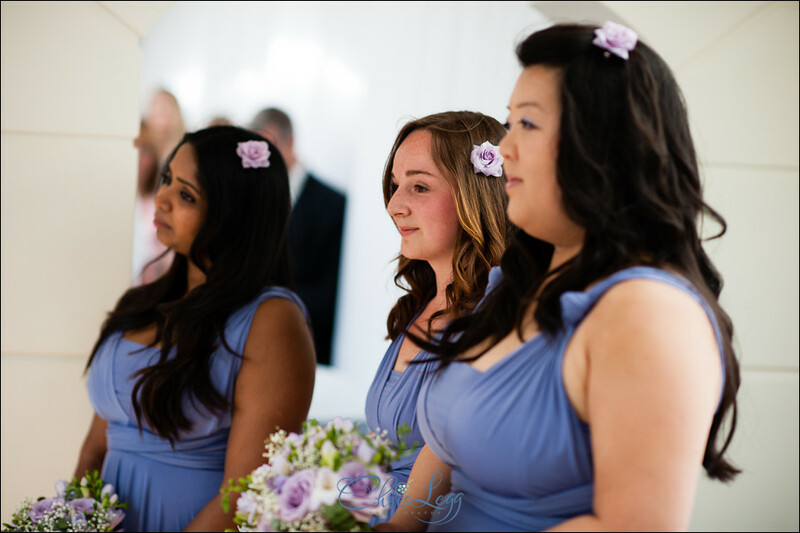 Once the room was sorted for the evening, the first dance was preceded by some very determined ladies at the bouquet toss! 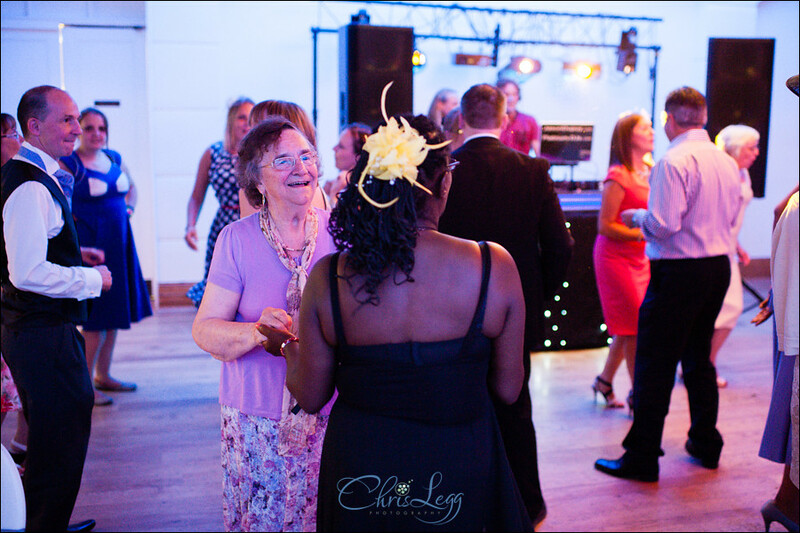 The evening then kicked off in full swing with a packed dance floor, lots of dancing, lots of singing. 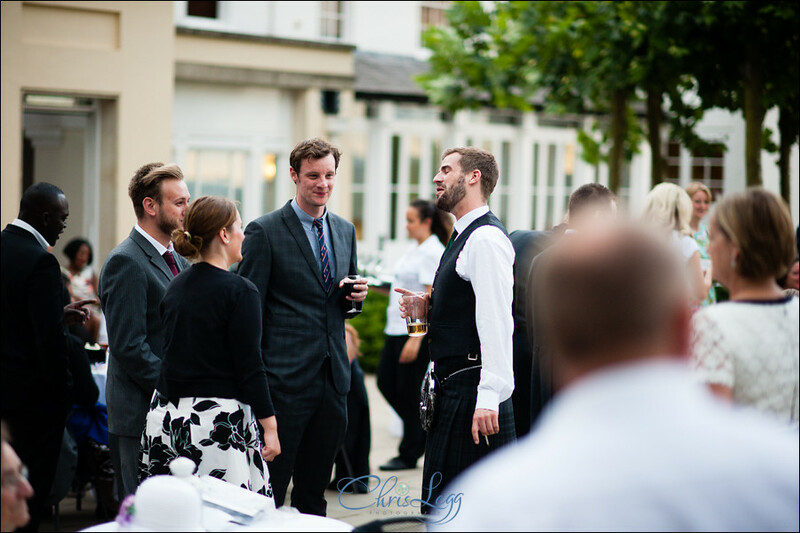 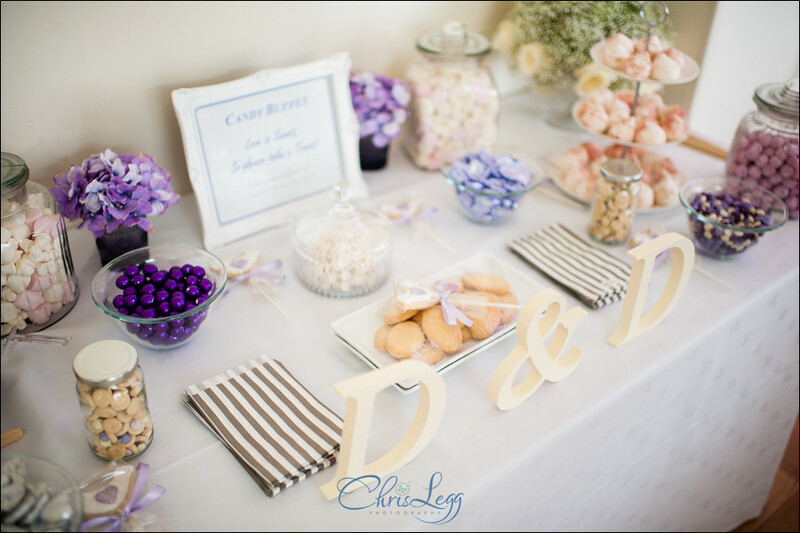 Everything you could ask for from an evening reception! 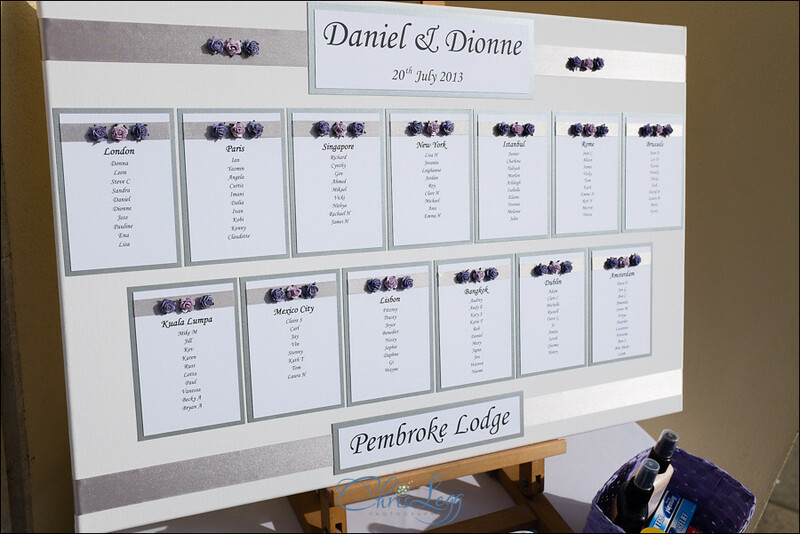 love these….how do we get copies? 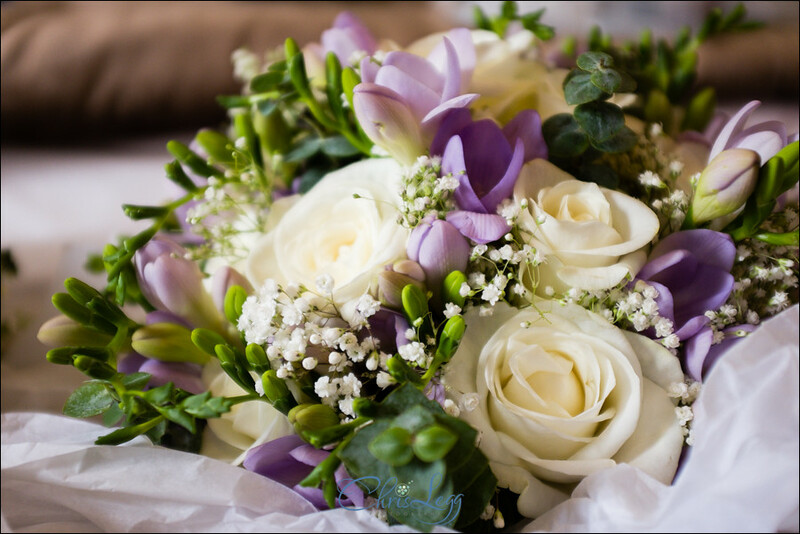 they are beautiful pictures xxxxxx. 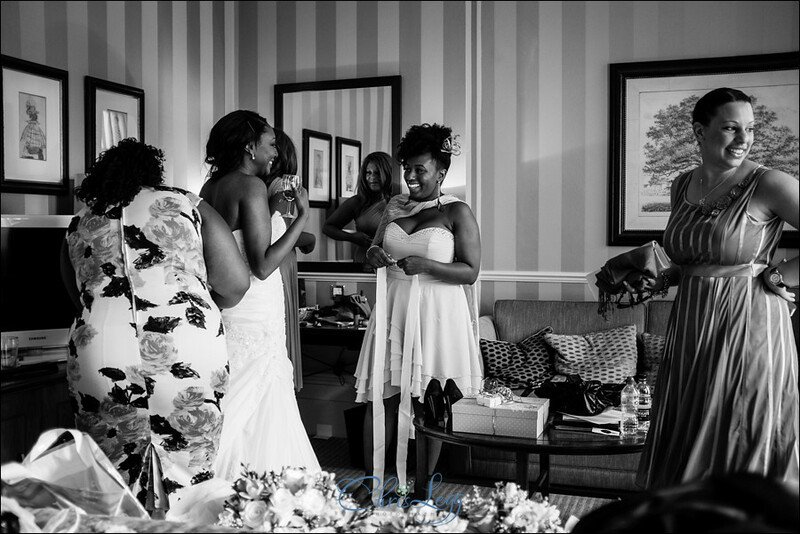 These pictures are stunning. 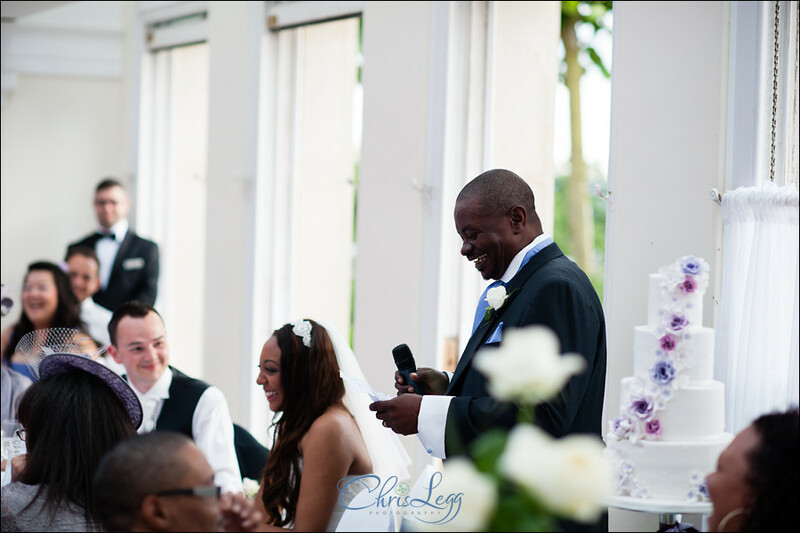 Brings it all back, such a beautiful day.